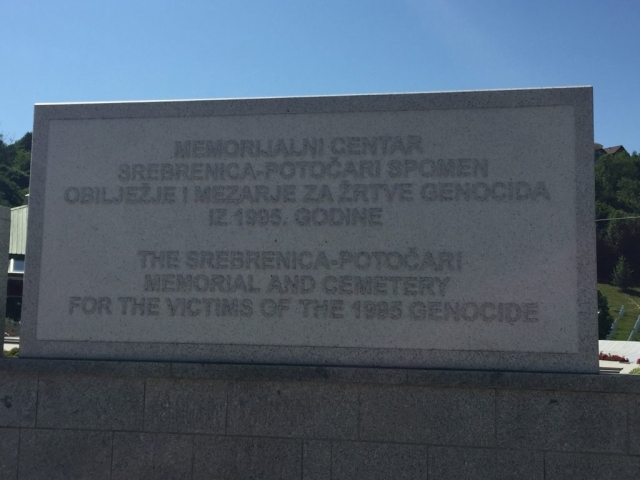 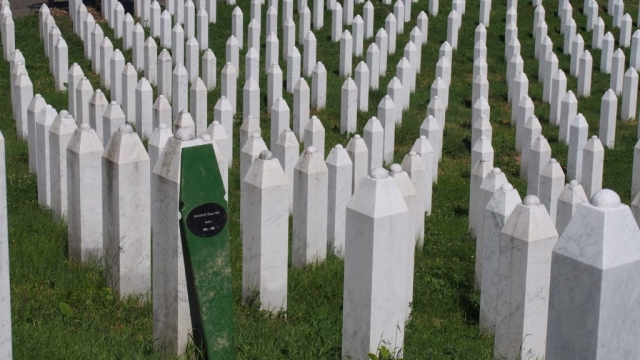 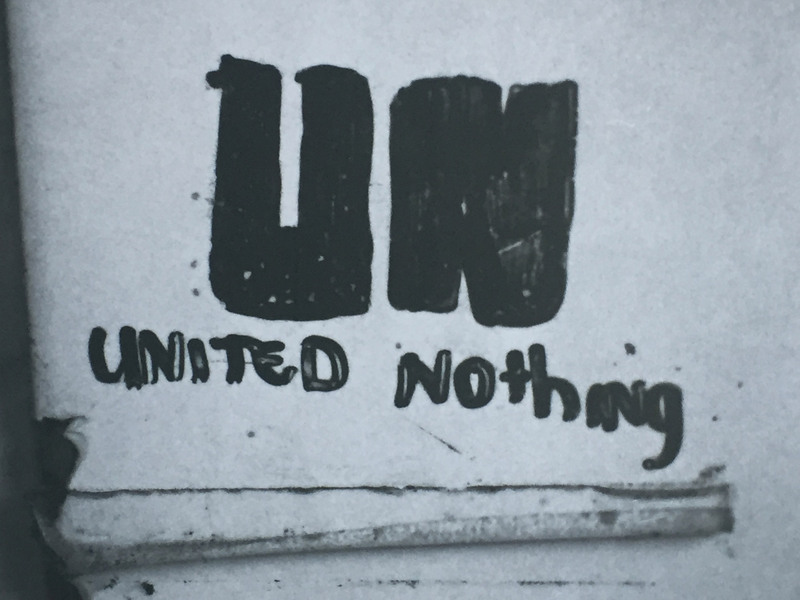 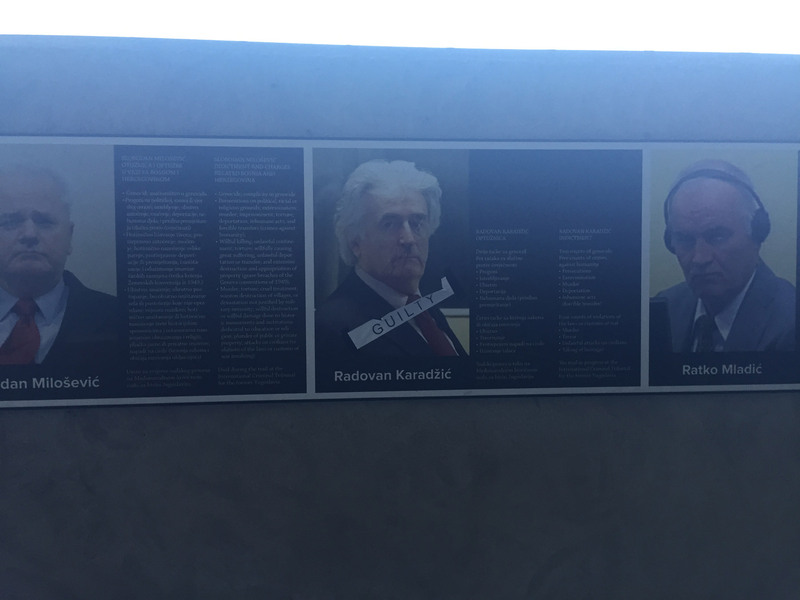 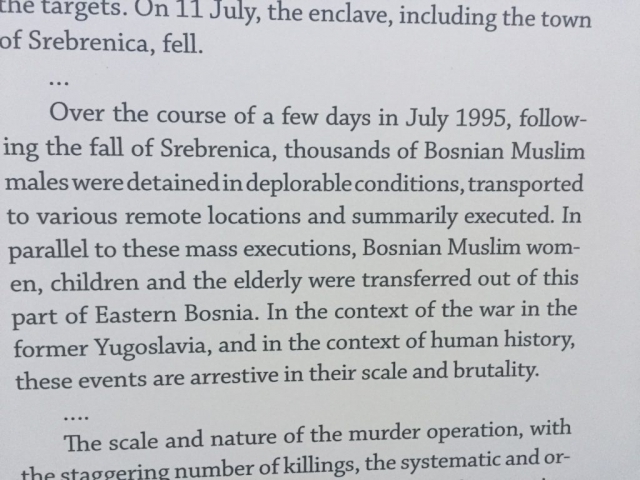 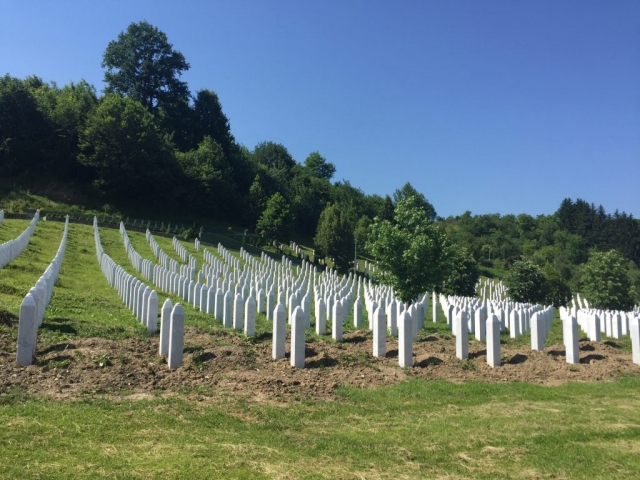 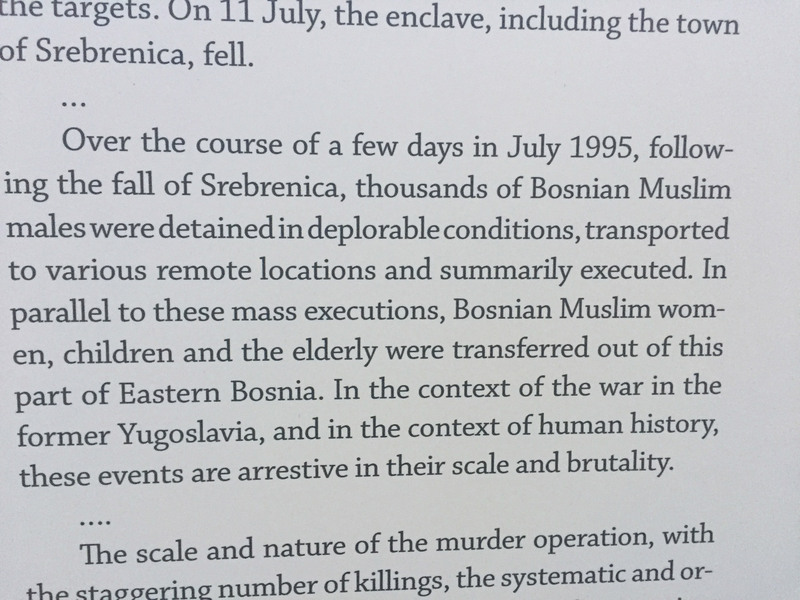 One hour after entering Bosnia, I’ve arrived to the Srebrenica-Potočari Memorial-Cemetery, placed across the road from the UN Dutchbat (Dutch Battalion), which was tasked with the role of safekeeping the Bosniak Muslim enclaves and the designated UN “safe zone” of Srebrenica during the Bosnian War. 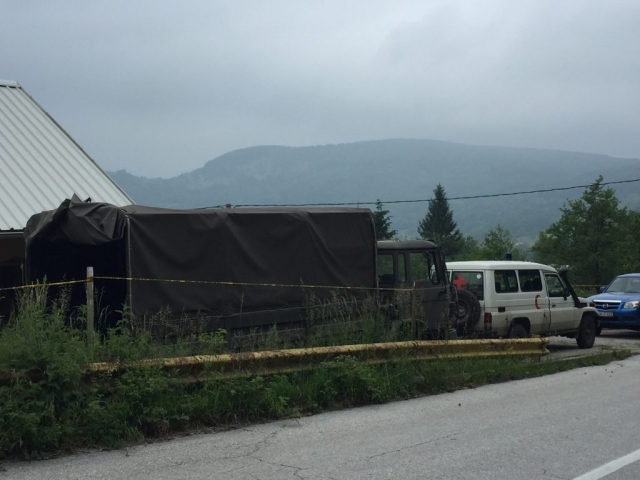 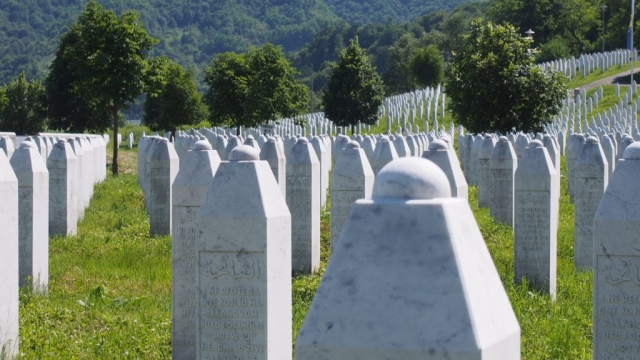 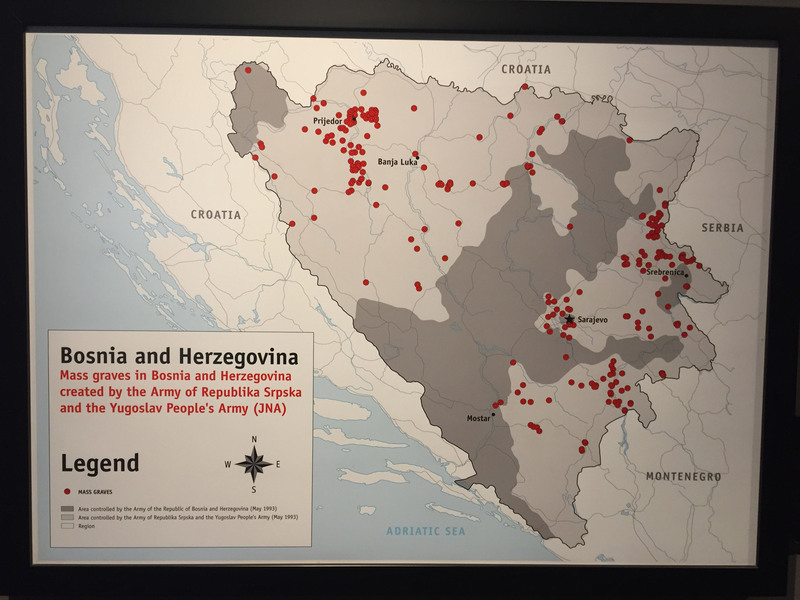 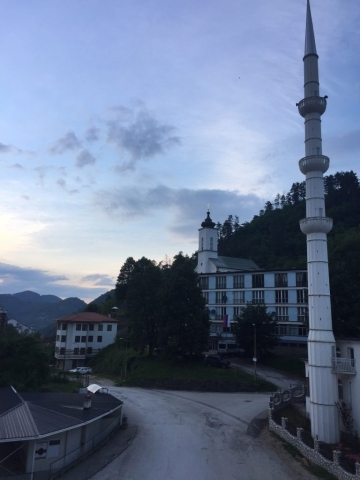 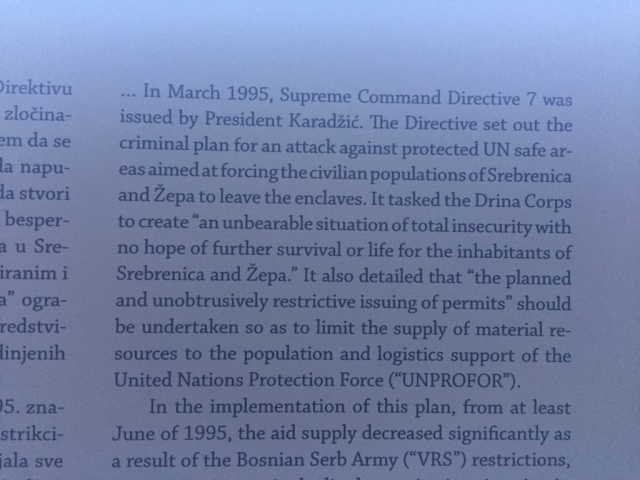 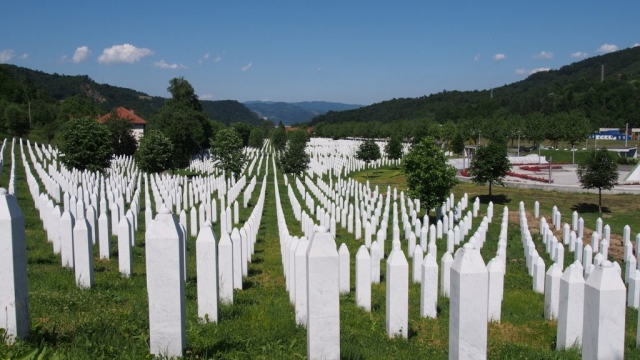 On July 1995, units of the Bosnian Serb Army of Republika Srpska (VRS), killed more than 8,000 Muslim Bosniaks, mainly men and boys, in and around the town of Srebrenica. 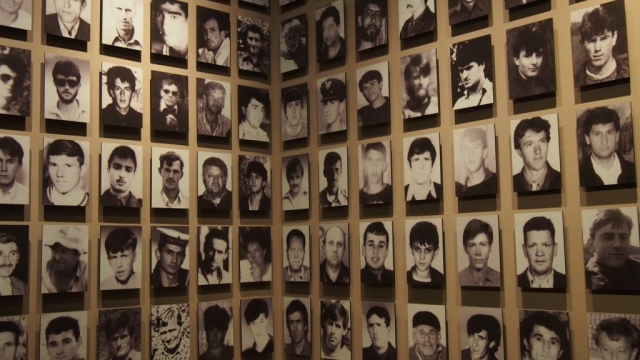 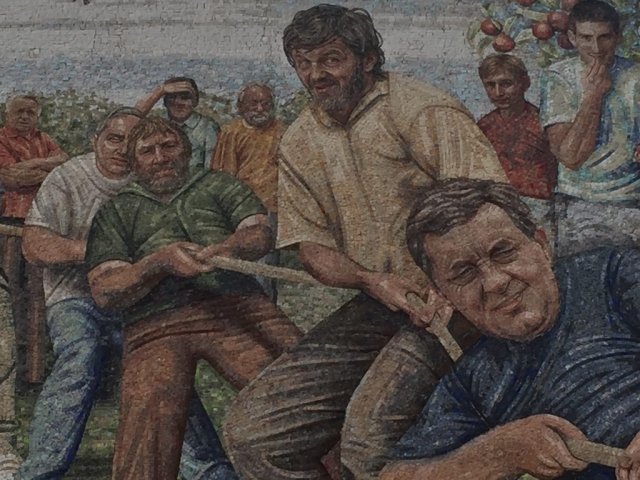 There’s more precise and detailed information on the ICTY.org website. 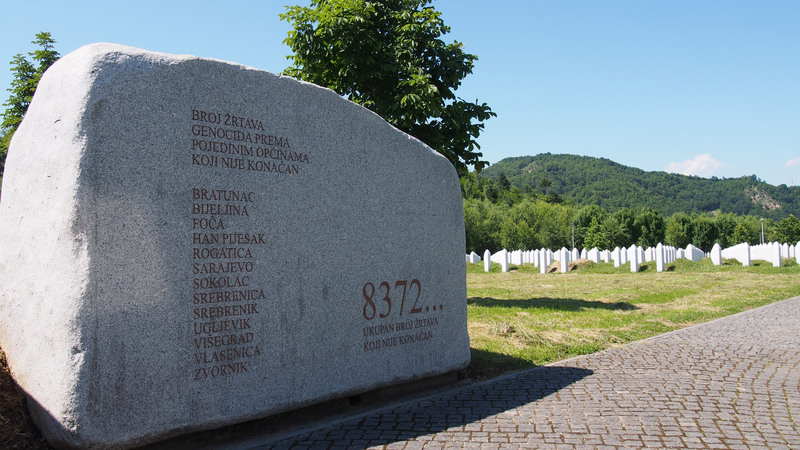 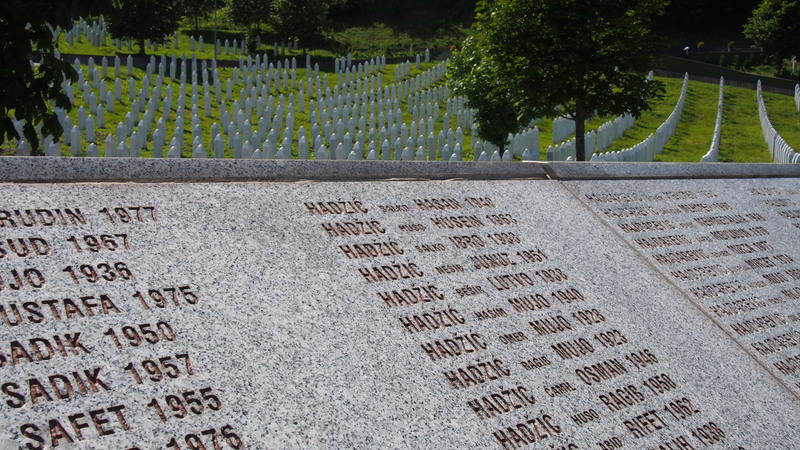 After the Memorial-Cemetery I continued to Srebrenica, which is only 5 km away. 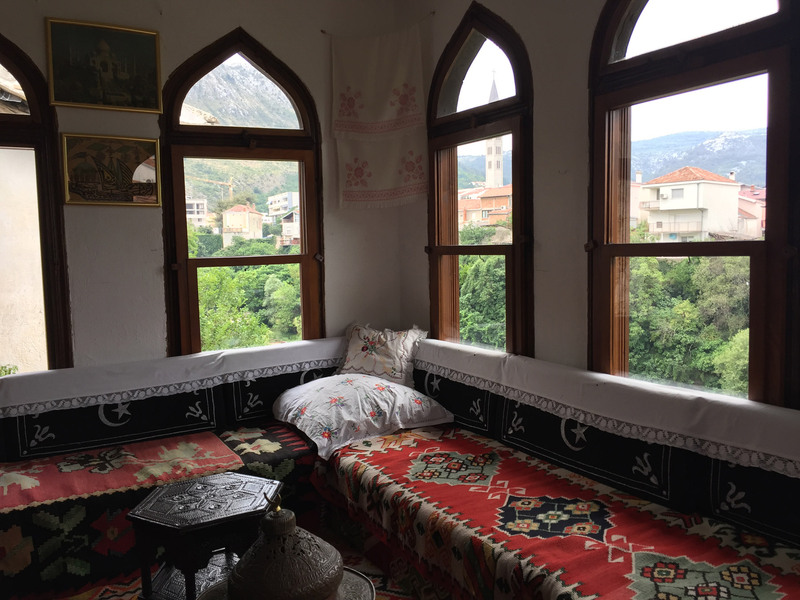 That night I slept in a nice hostel. 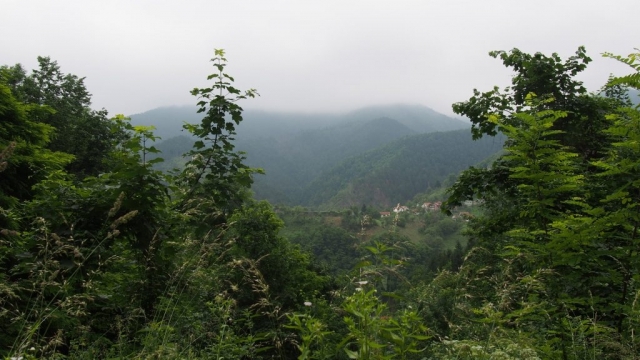 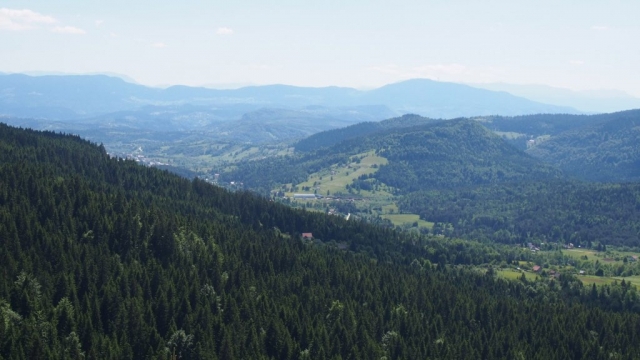 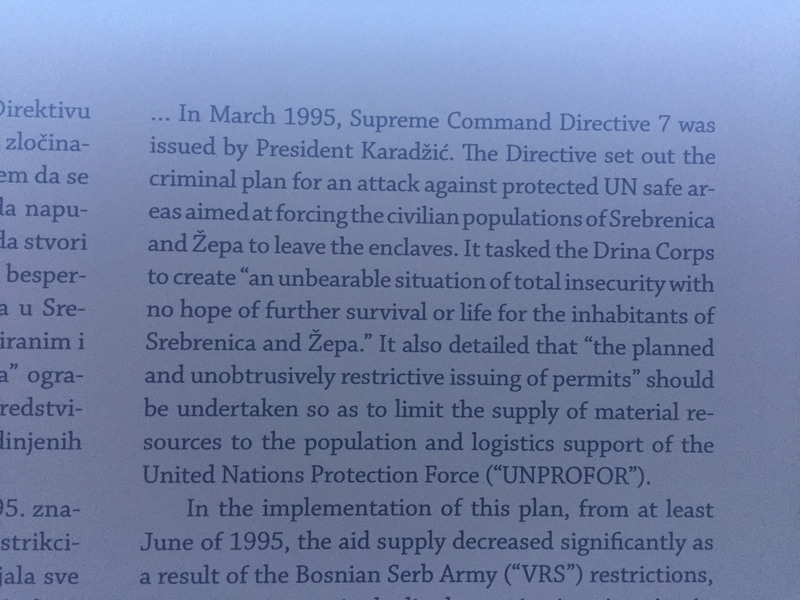 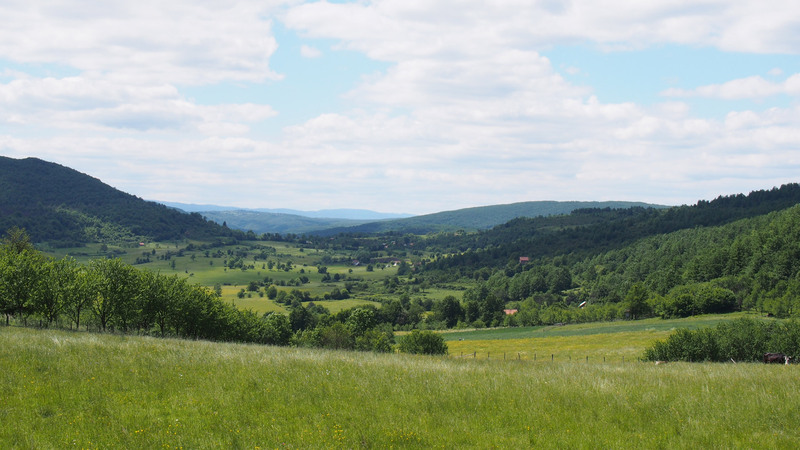 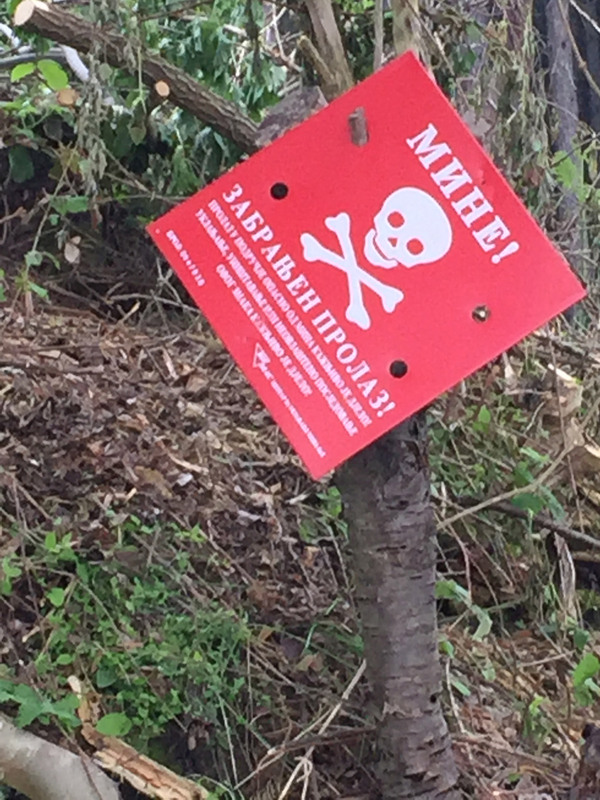 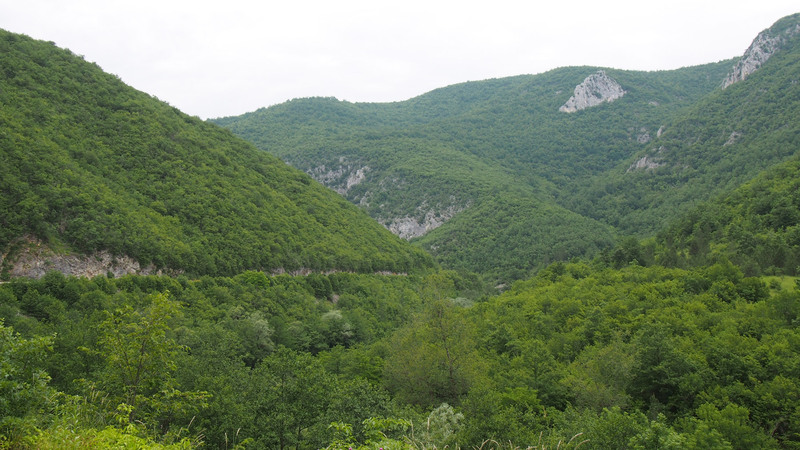 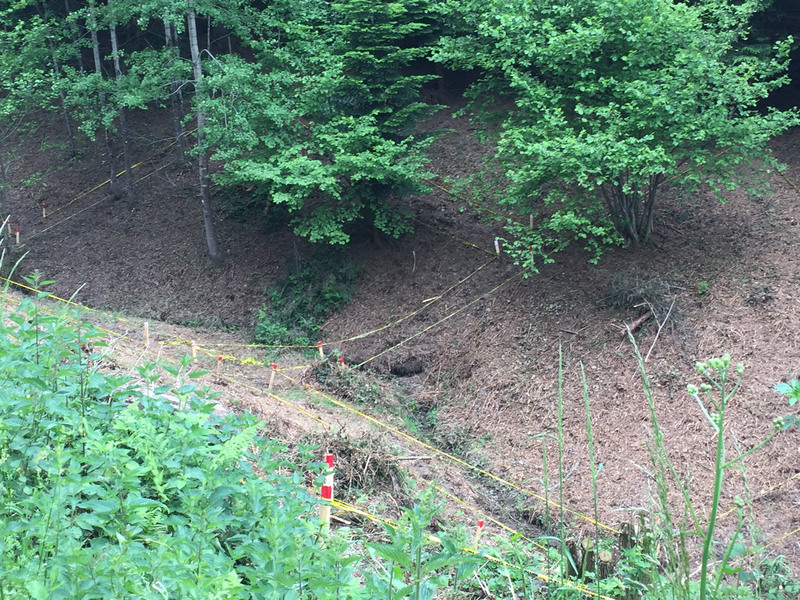 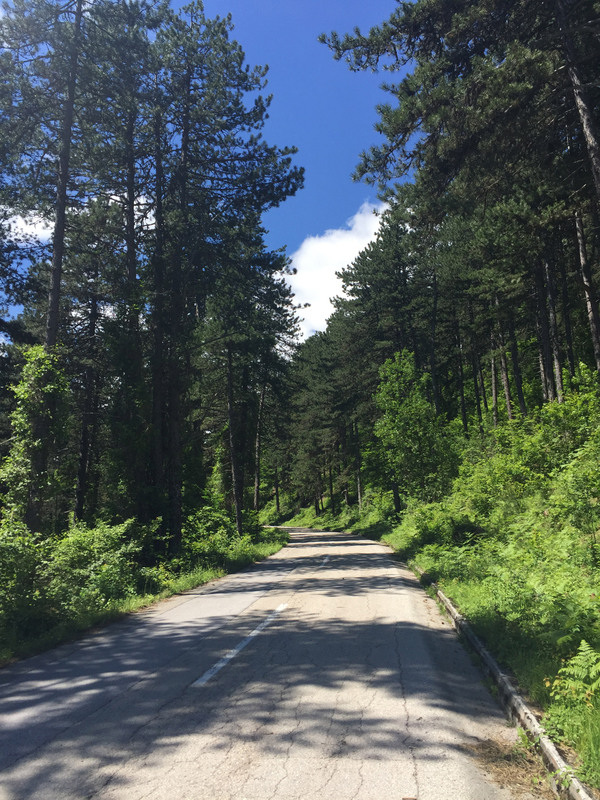 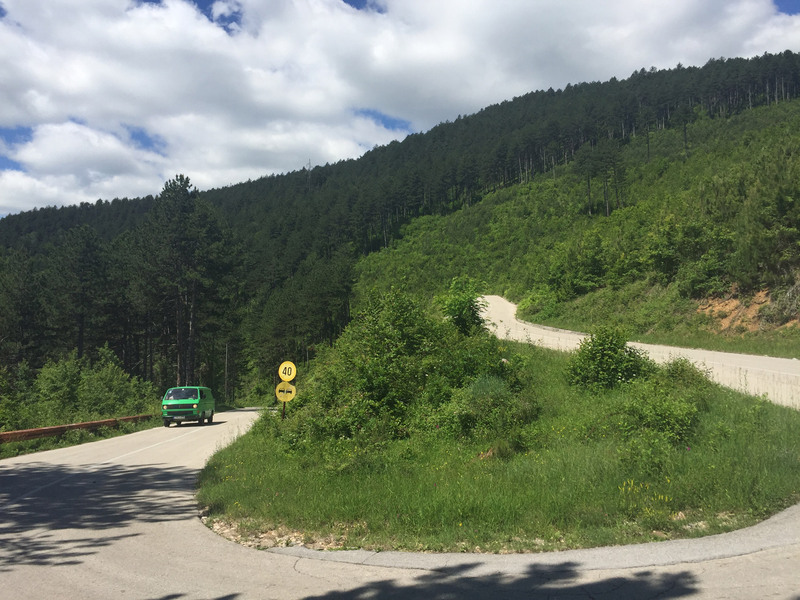 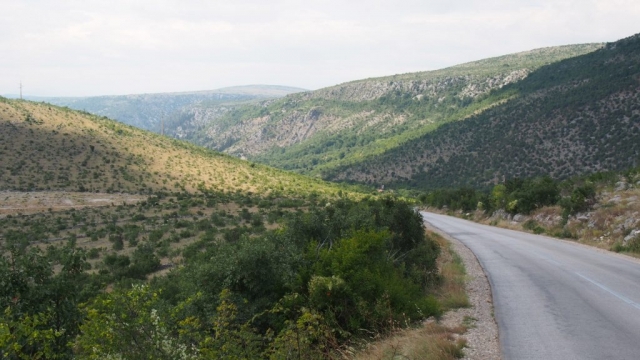 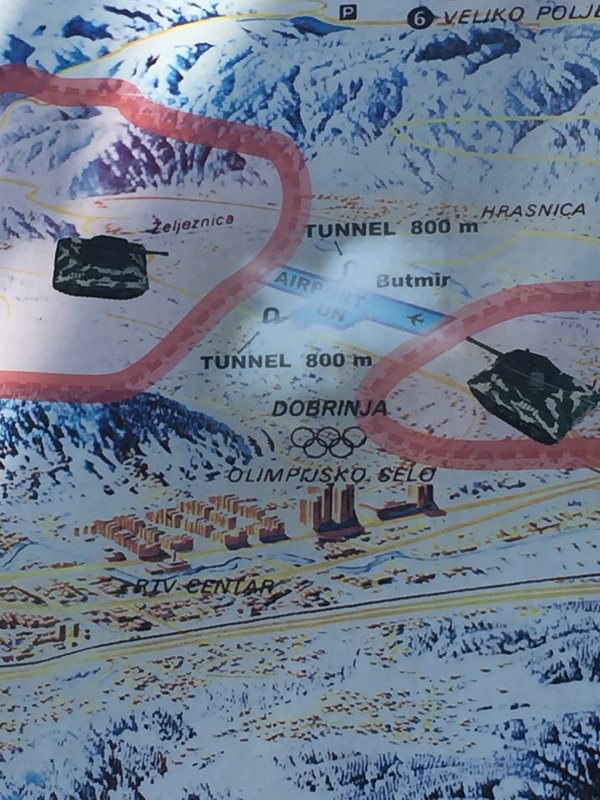 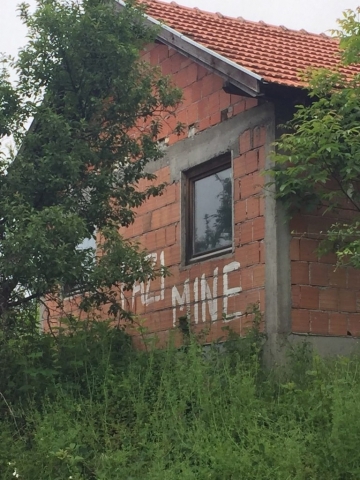 The next day I climbed the mountains, found live minefields along the way (clearly marked and with Bosnian soldiers working on them) and, a few hours later, reached Serbia again to visit Tara National Park and Mokra Gora (already mentioned in the previous entry). 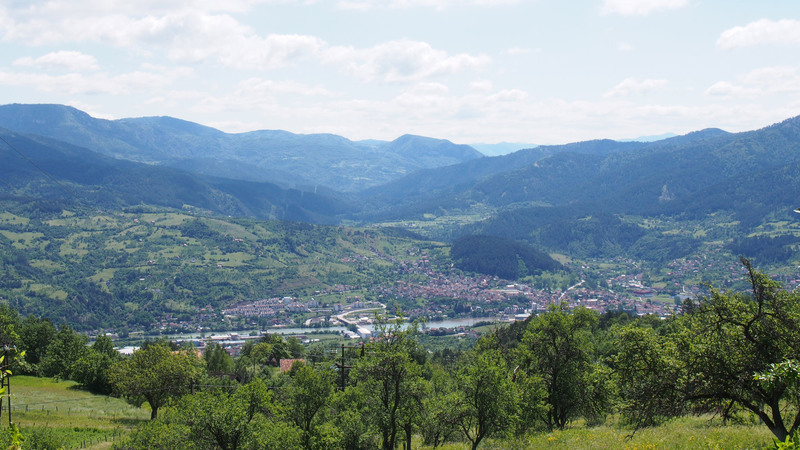 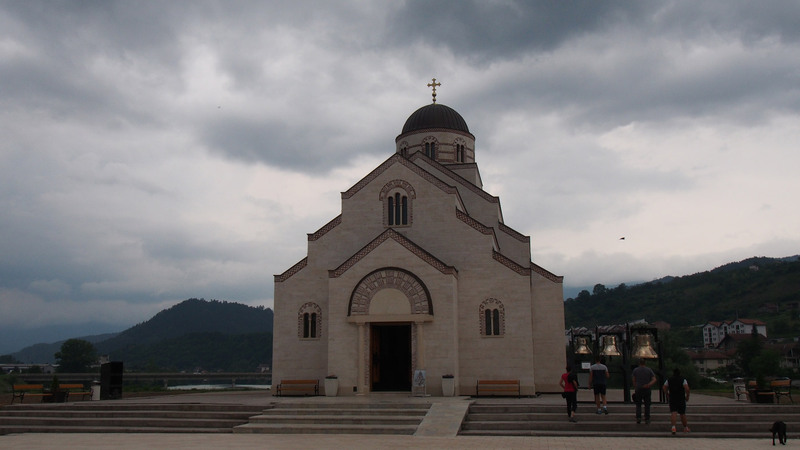 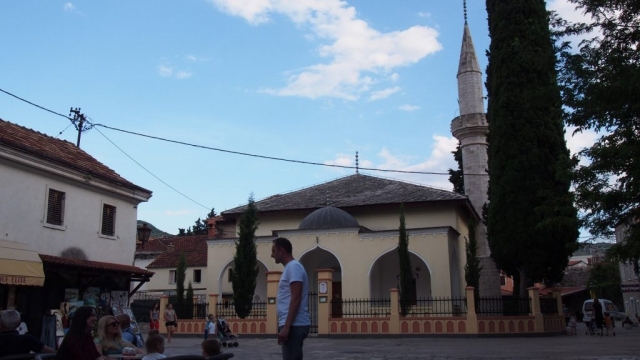 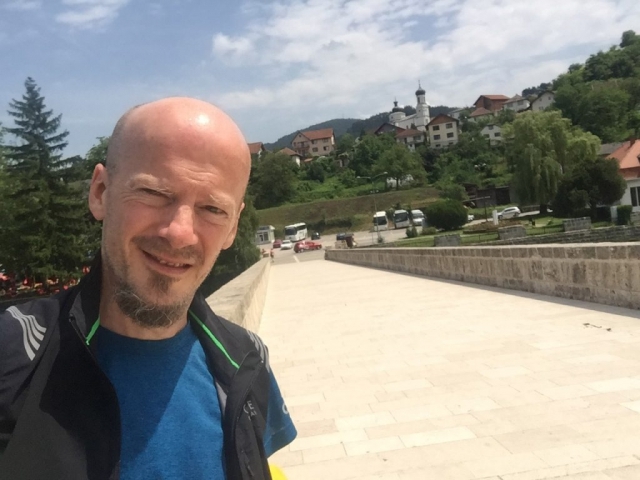 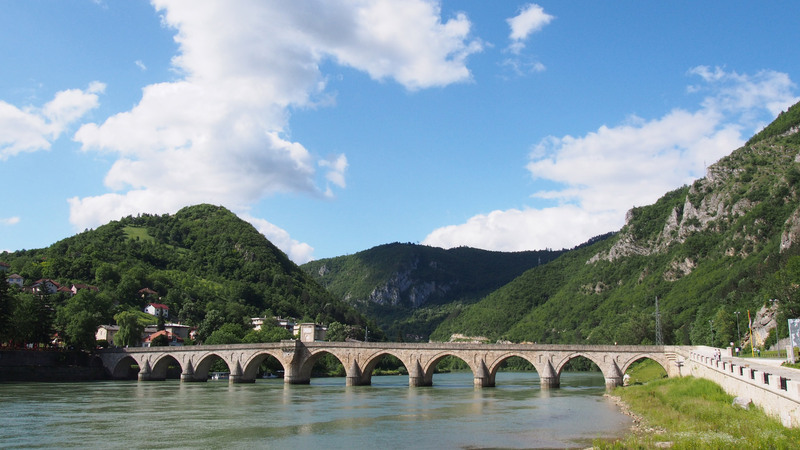 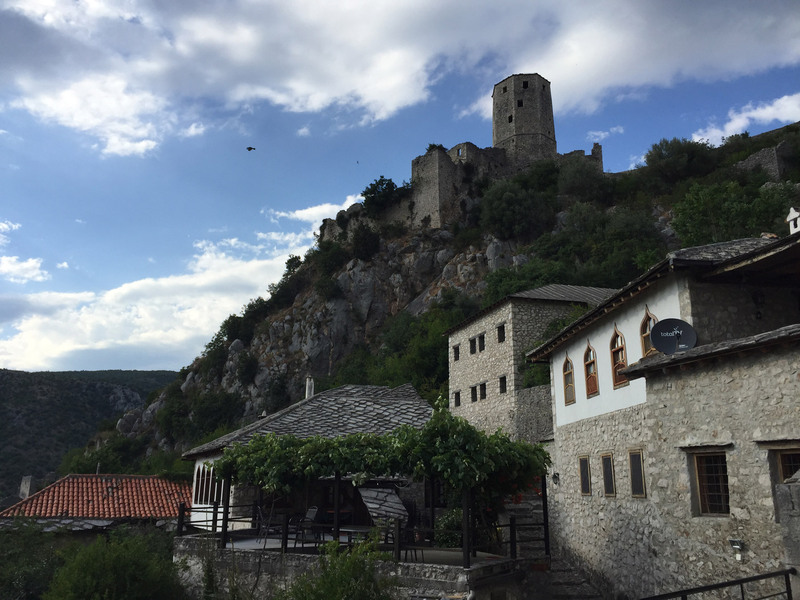 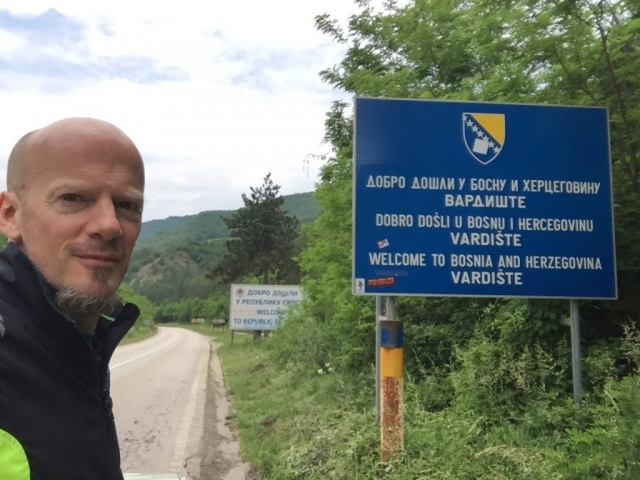 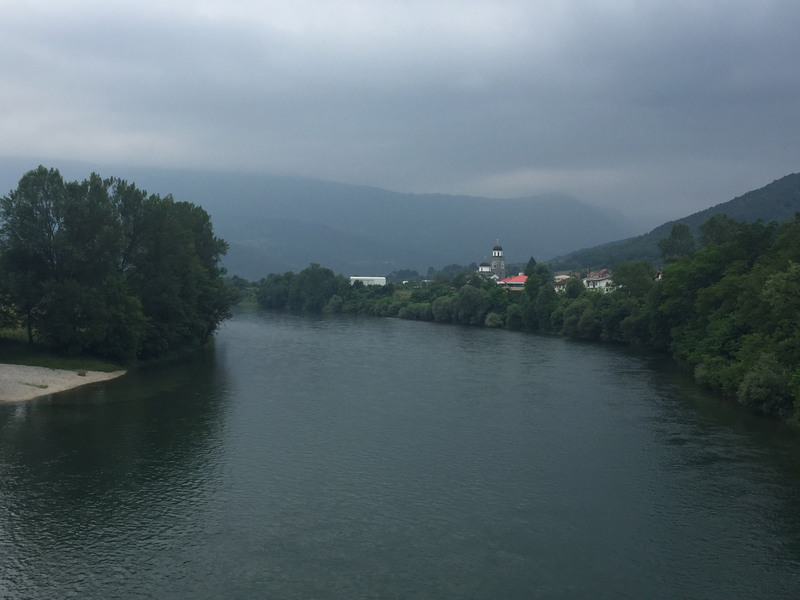 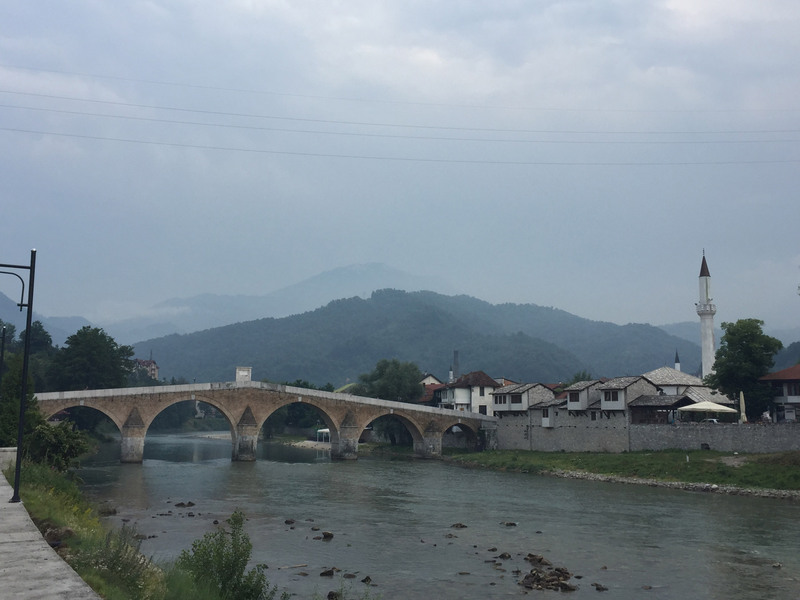 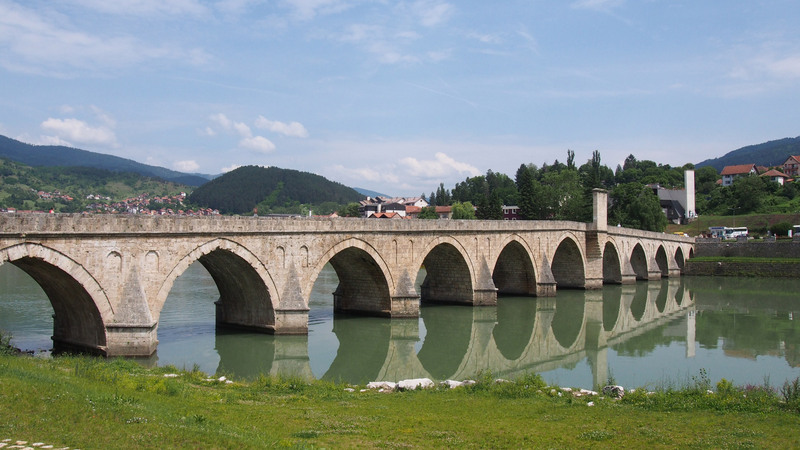 A few km after Mokra Gora I entered Bosnia again and stopped in the historical city of Višegrad. 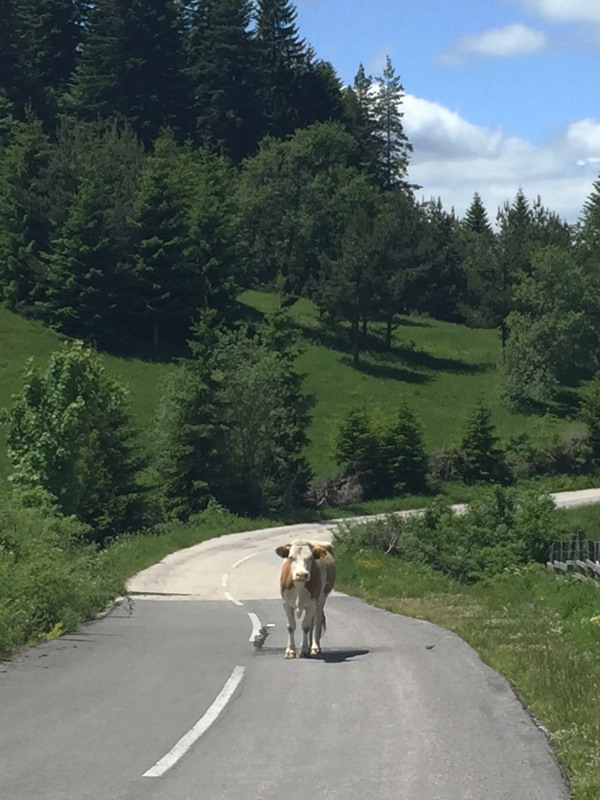 As usual, my way to the next big city (Sarajevo in this case) was across some big mountains, which were beautiful but very demanding. 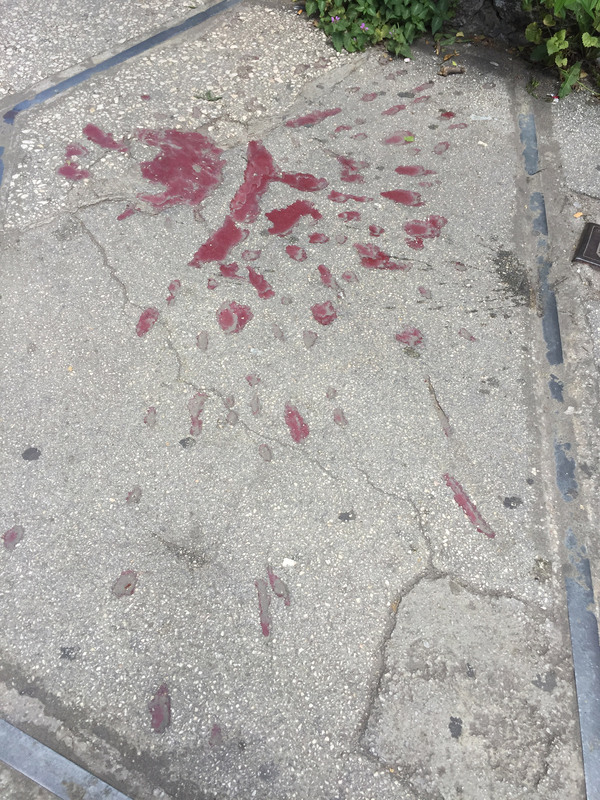 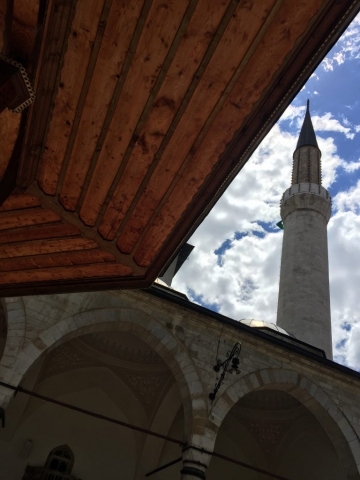 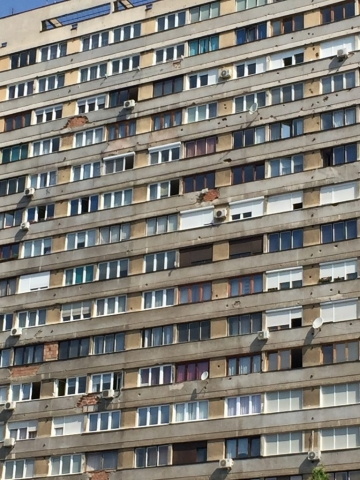 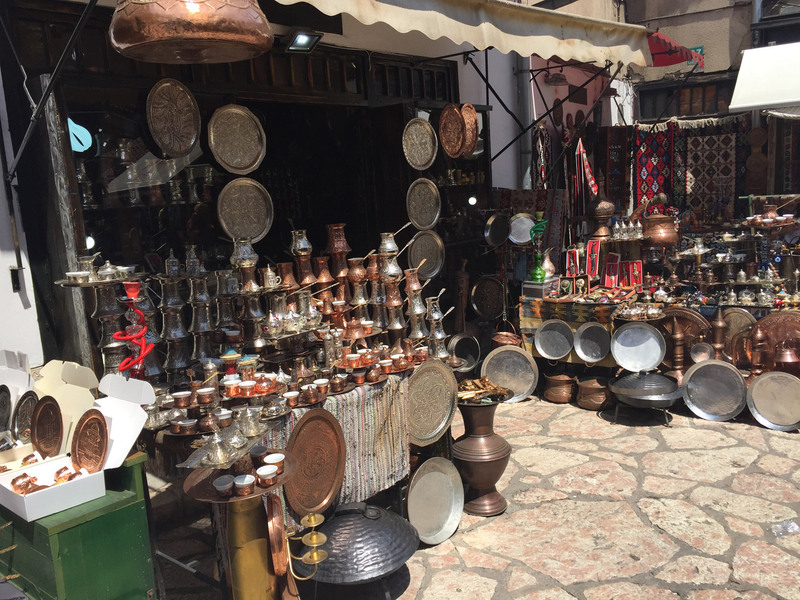 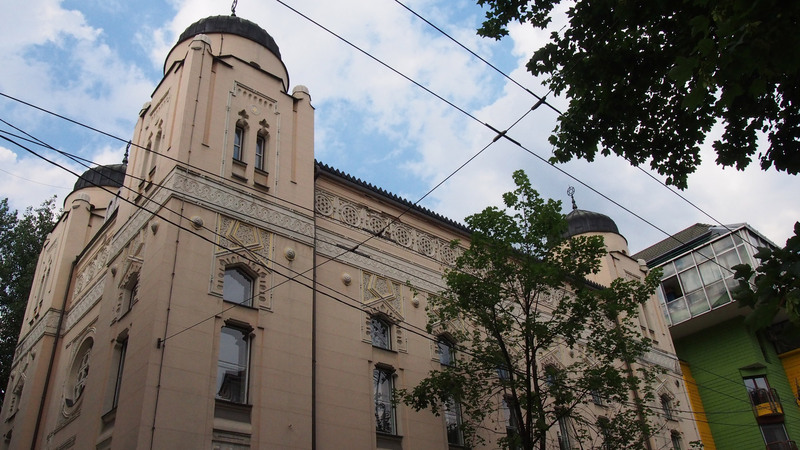 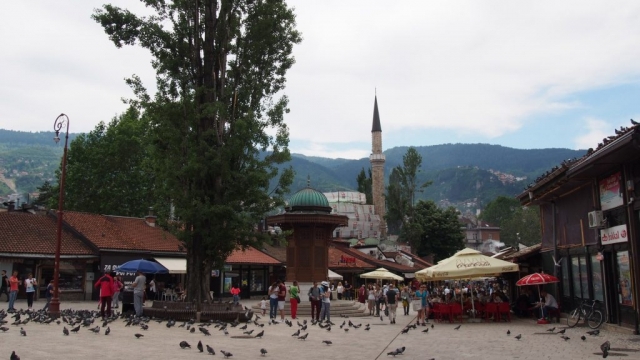 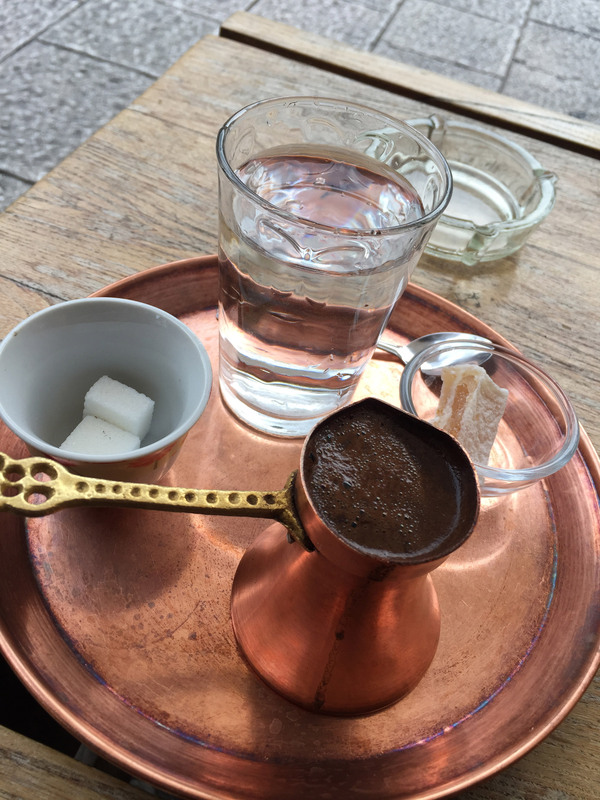 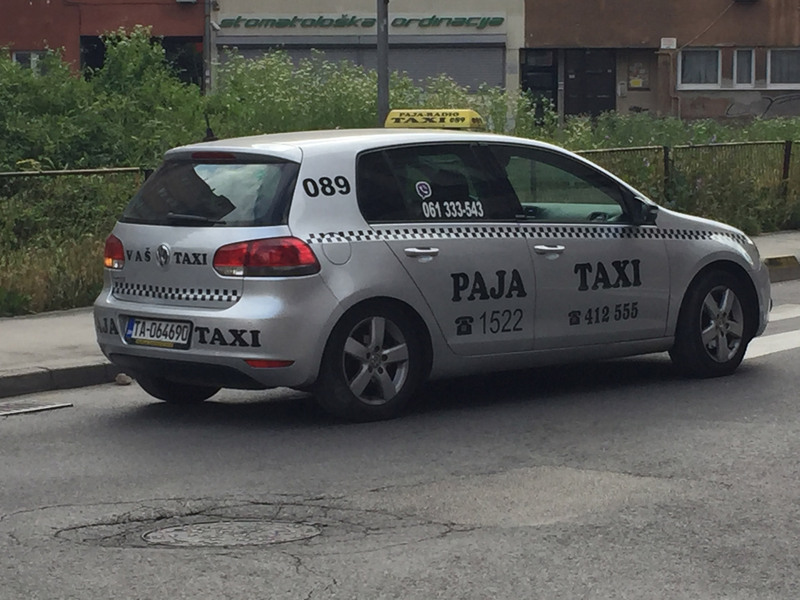 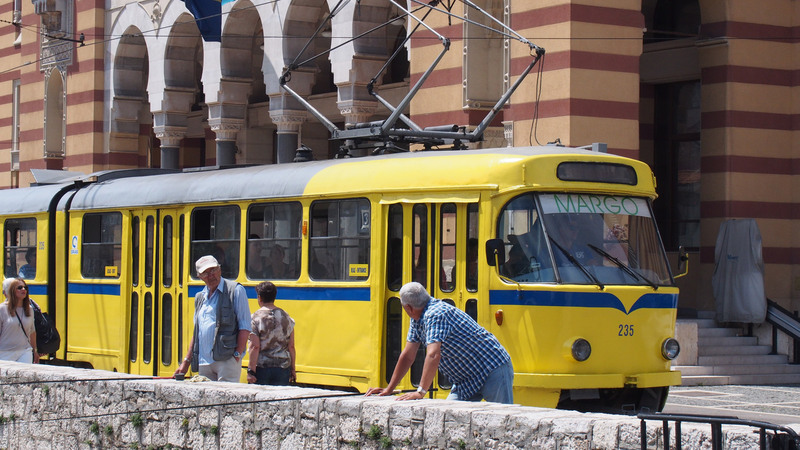 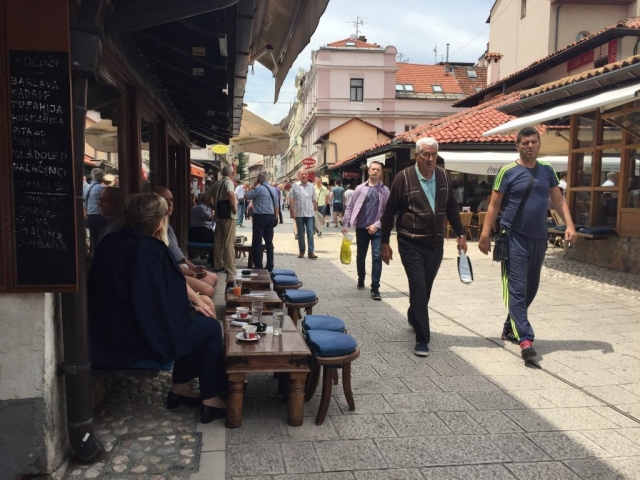 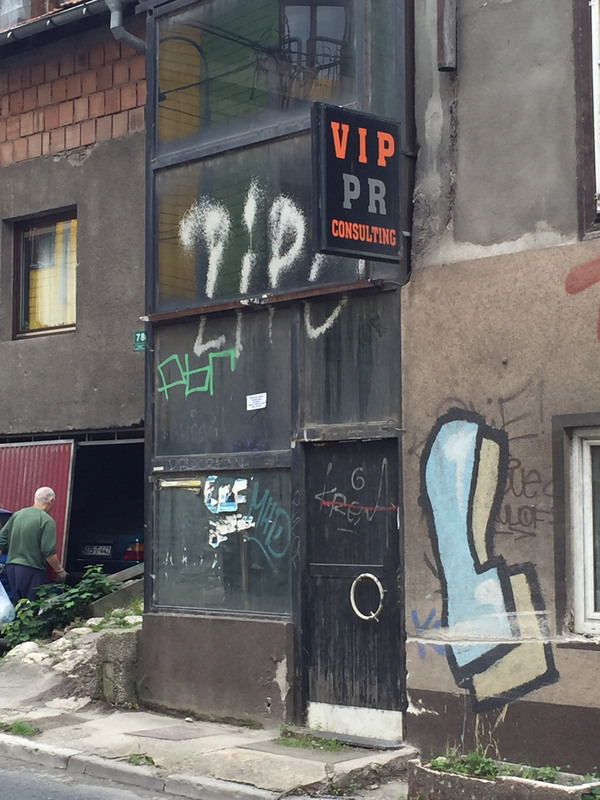 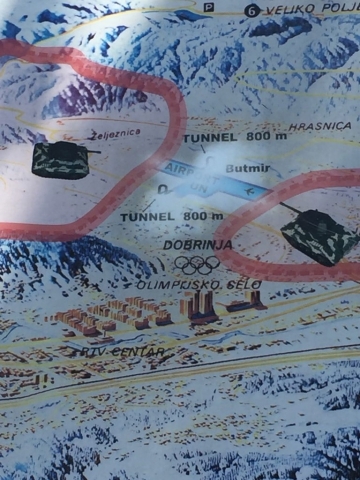 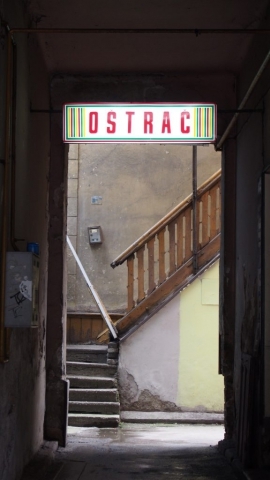 Two days later I entered Sarajevo, where I took a 4-day break. 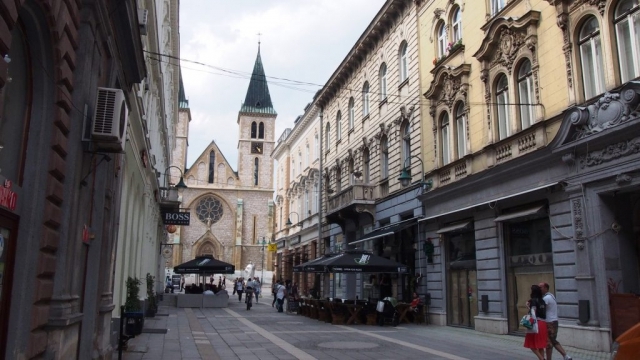 I loved the city and their people and also both sides of the city (ottoman and Austrohungarian). 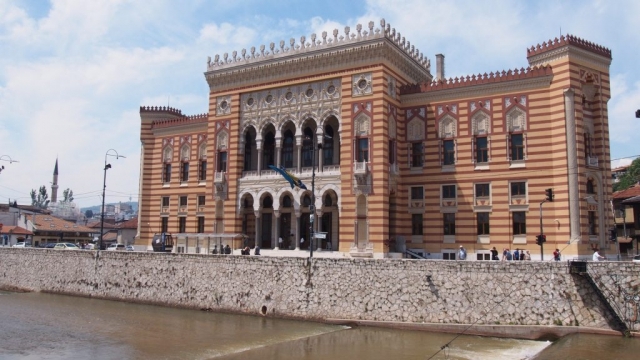 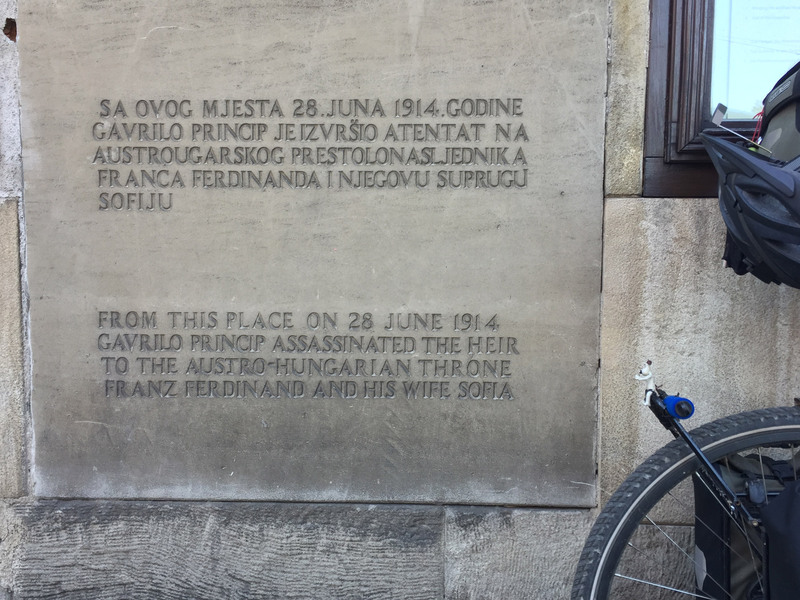 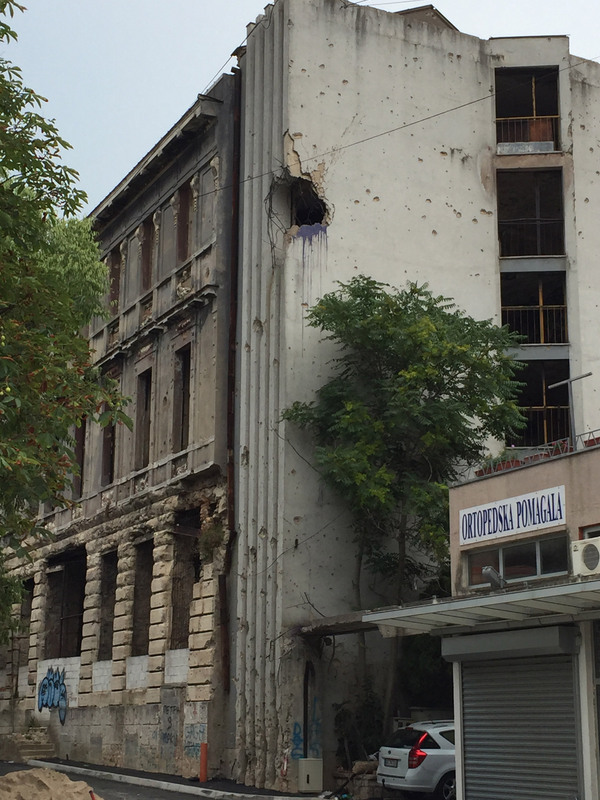 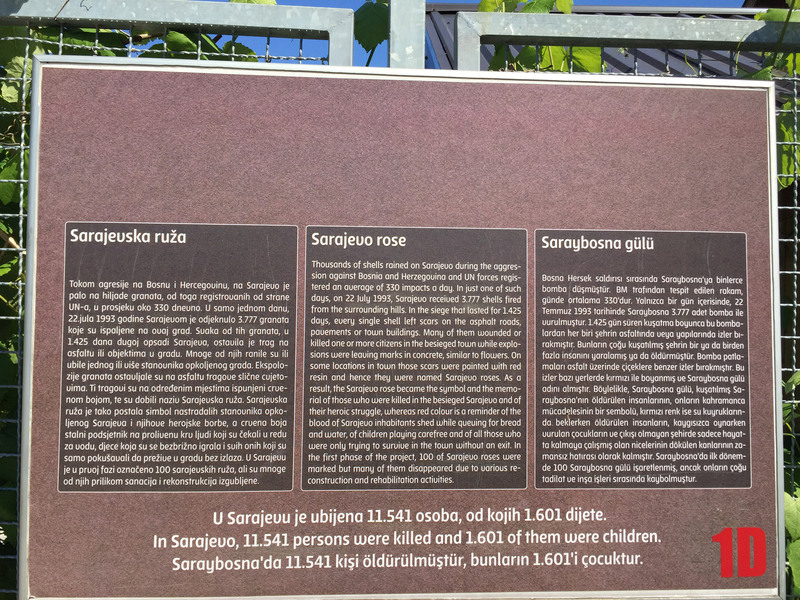 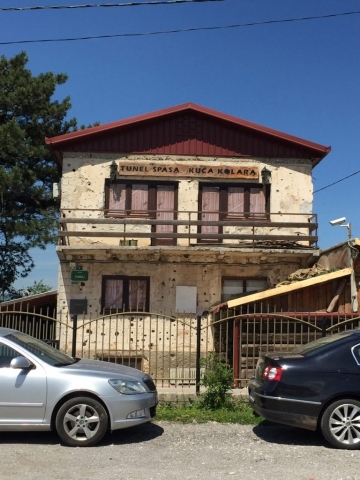 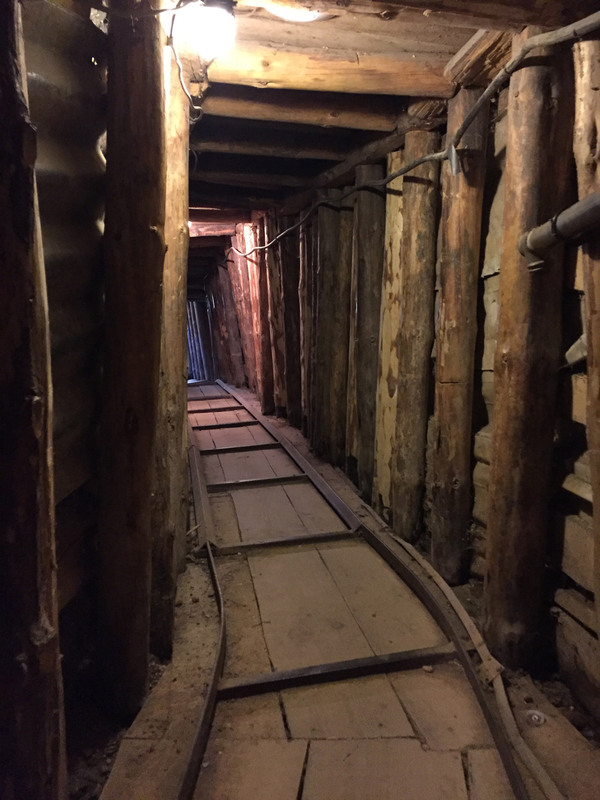 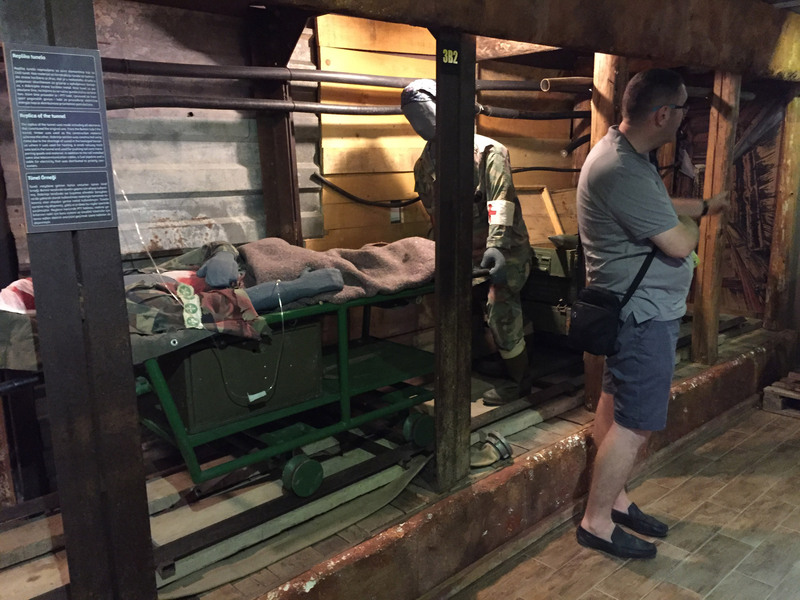 On those days I learned a bit more about their recent history, from Gavrilo Princip to the Siege of Sarajevo. 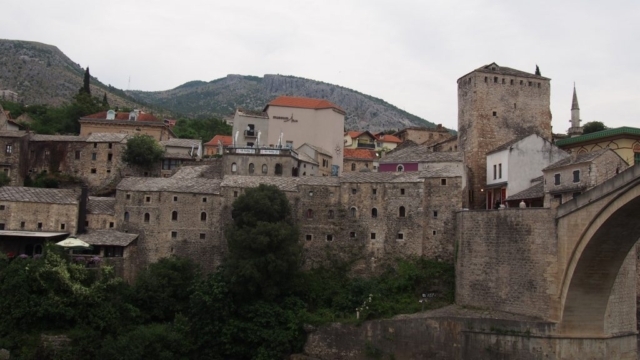 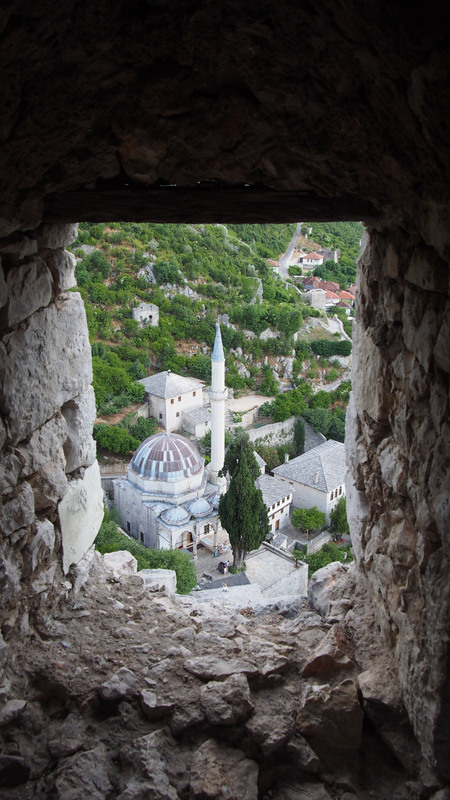 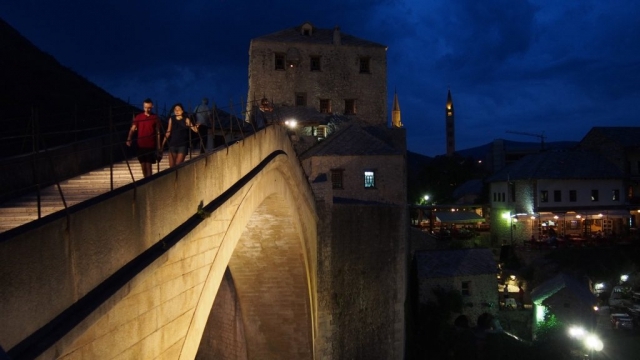 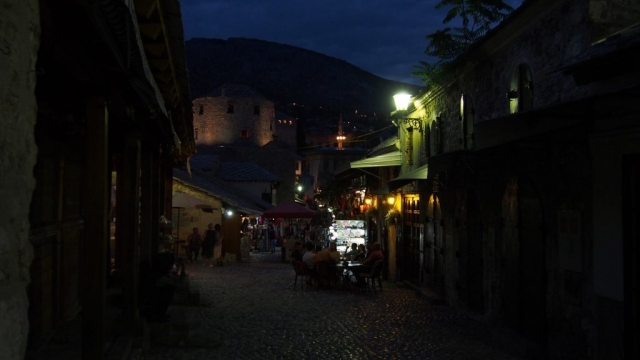 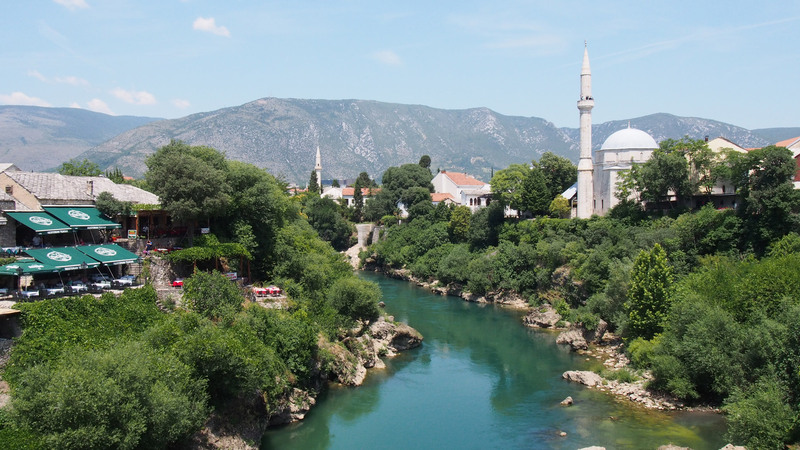 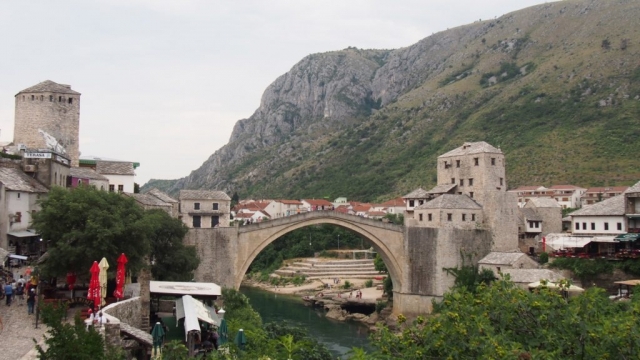 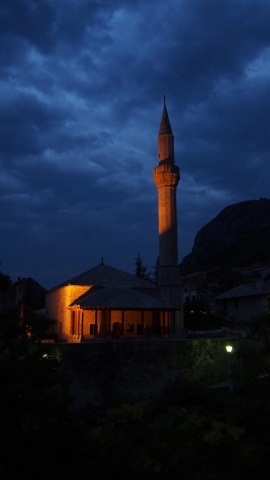 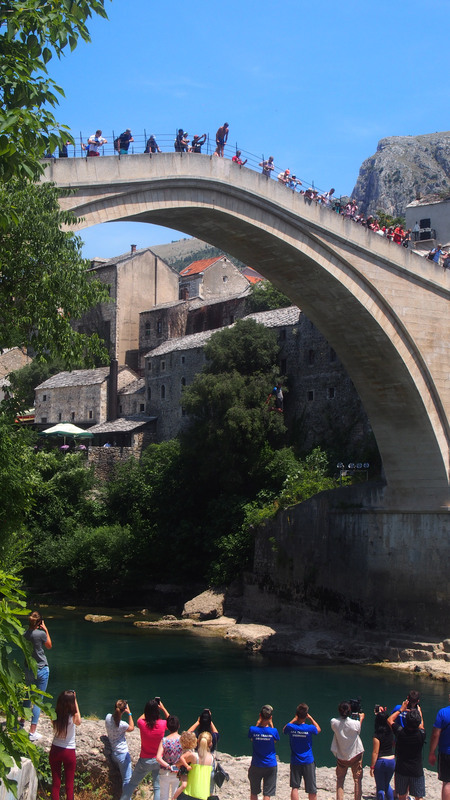 My next big city was Mostar, where I arrived two days after Sarajevo. 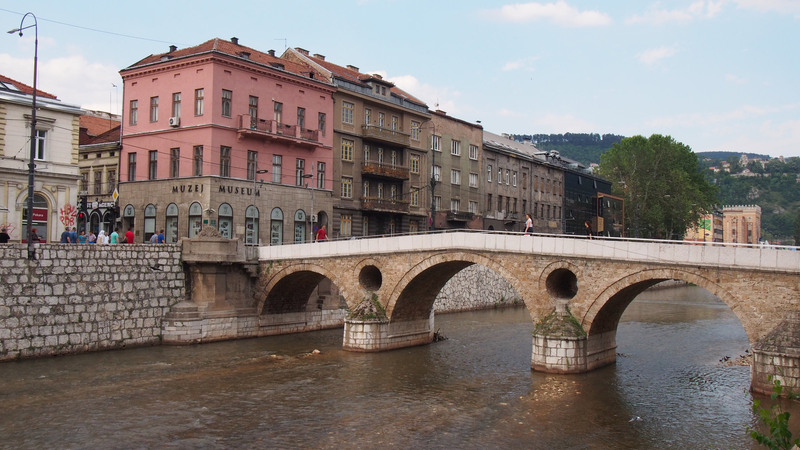 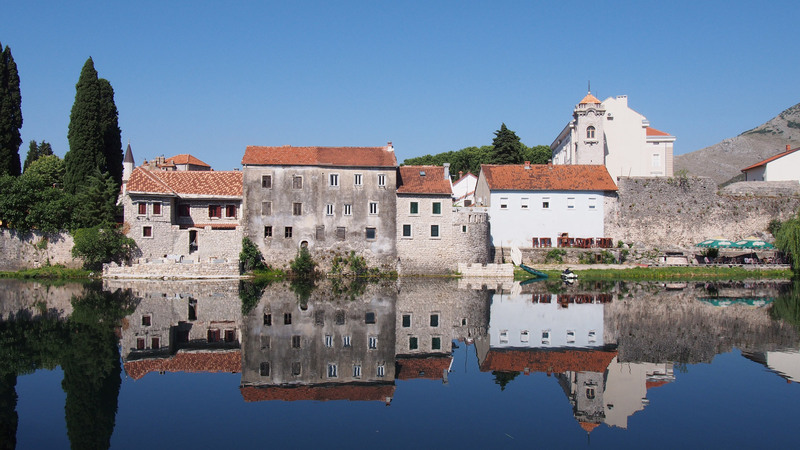 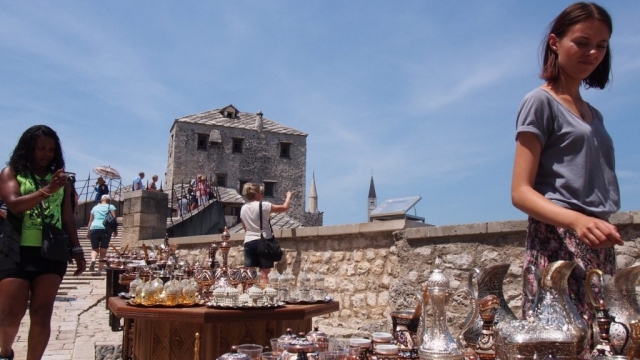 The old town, including the famous bridge were destroyed during the war but they have been restored. 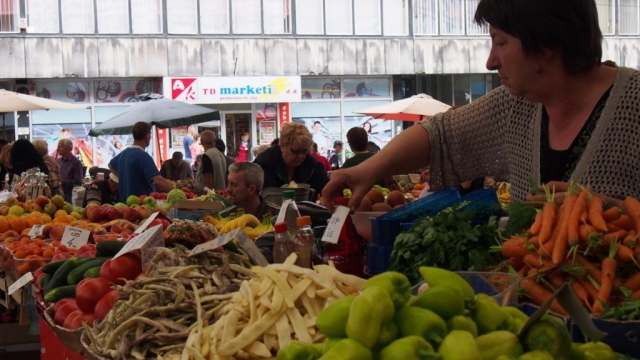 The city is very touristic and there are many tours coming from Dubrovnik for the day, so gets quite crowded. 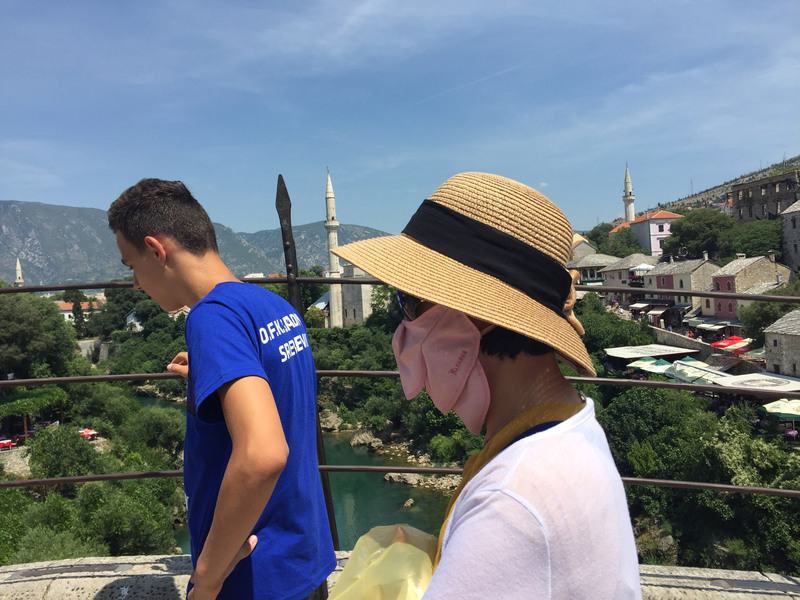 The popularity is well deserved: the views of the bridge are breathtaking; the color of the river is very intense and the alleys and streets near the bridge are beautiful. 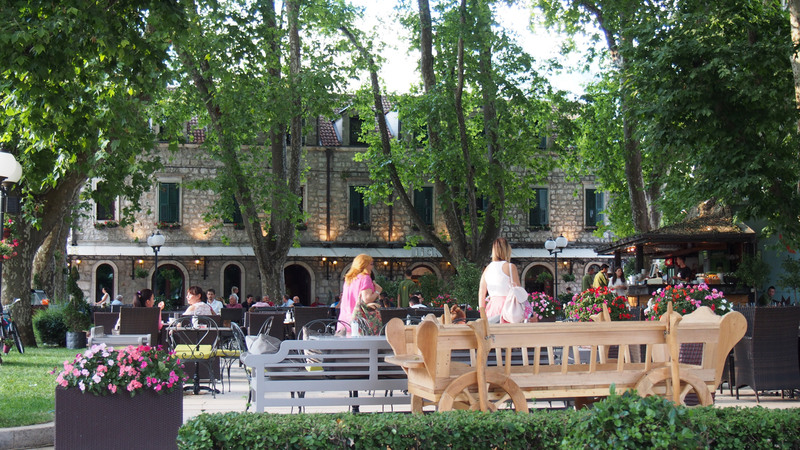 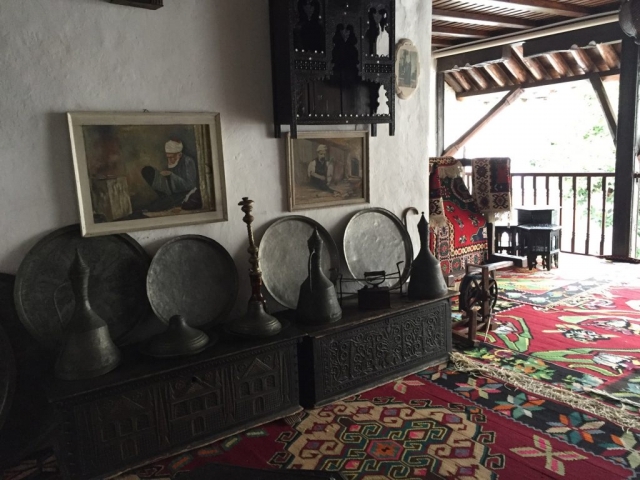 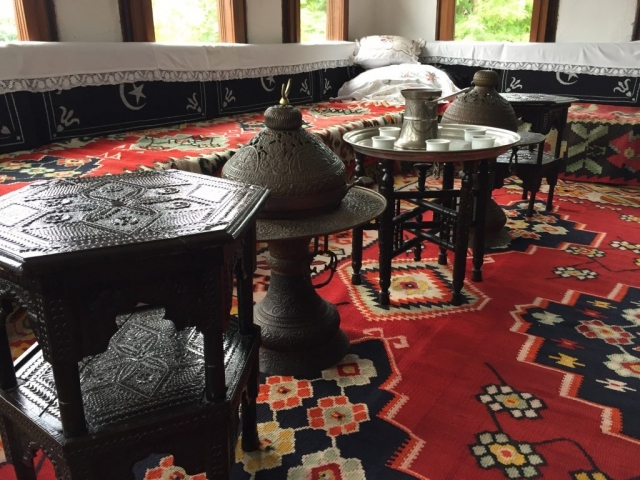 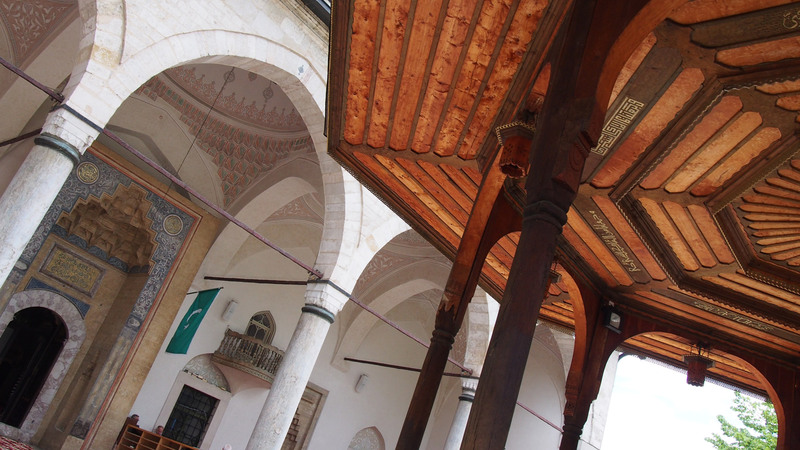 There are two nice ottoman houses that you can visit; one of them is a hotel now. 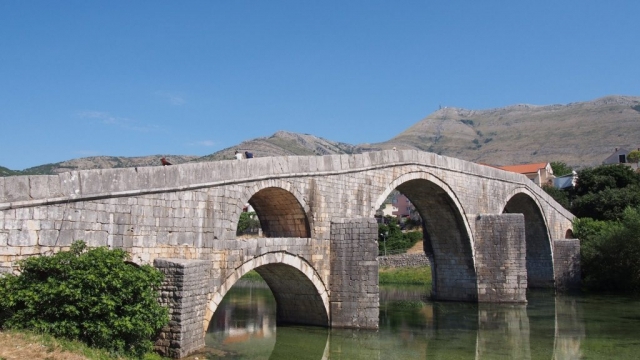 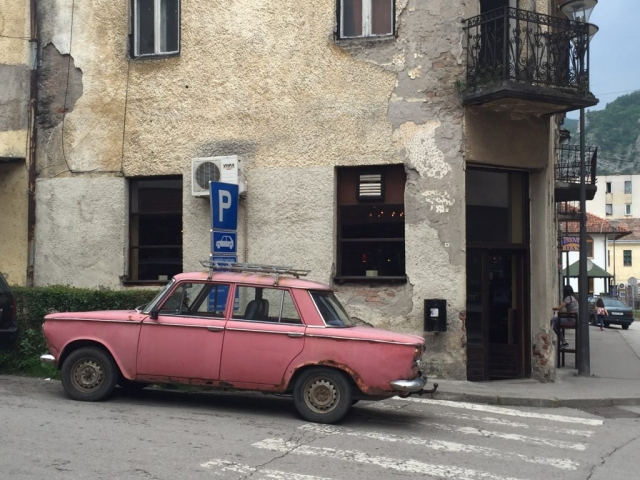 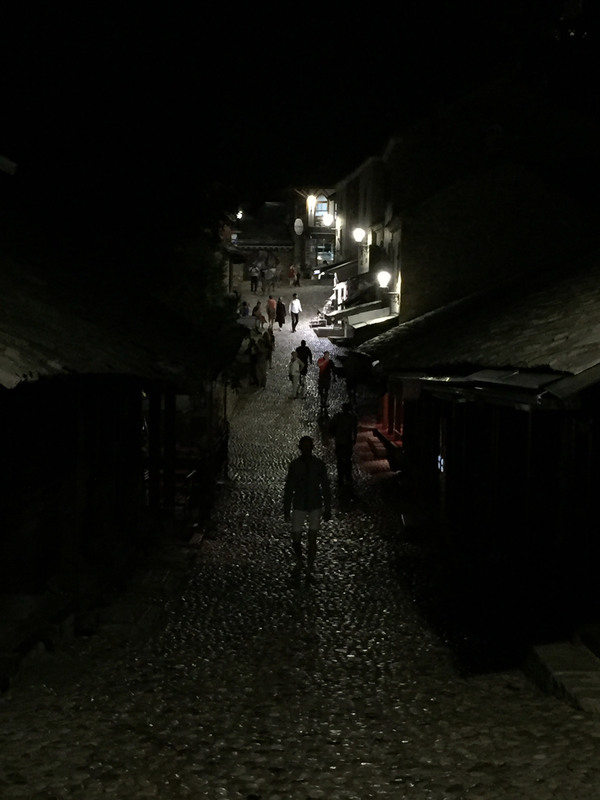 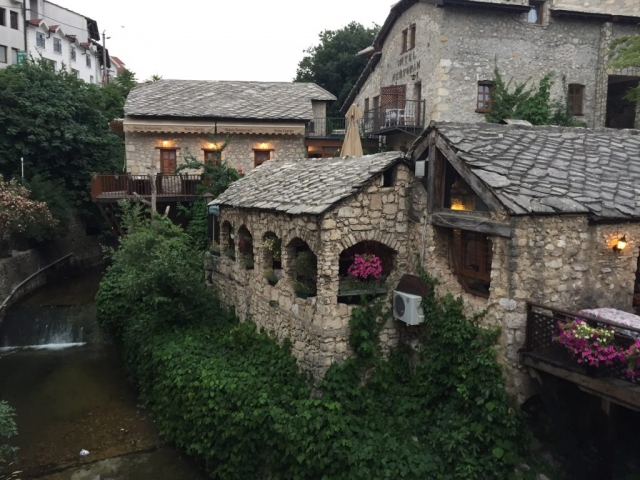 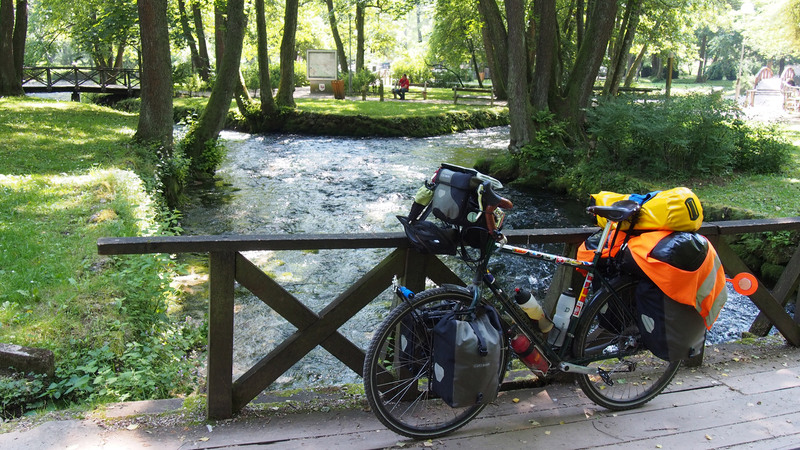 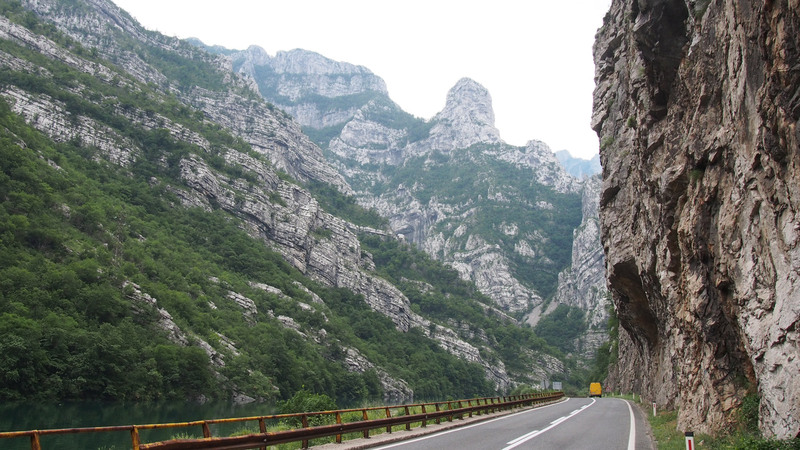 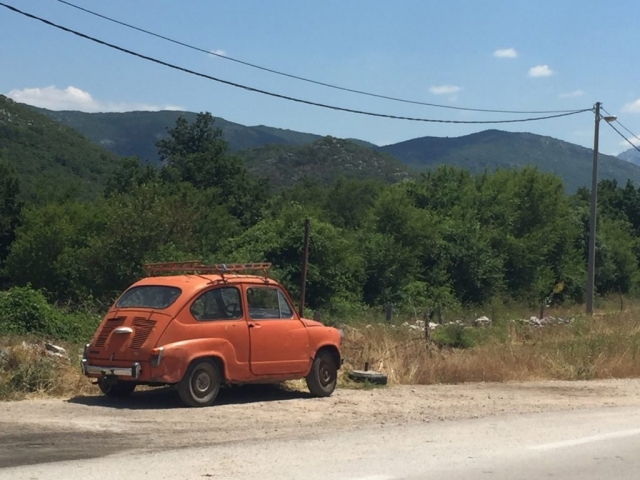 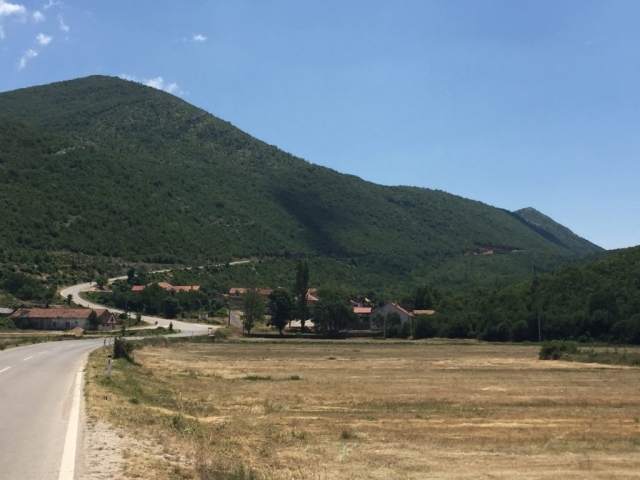 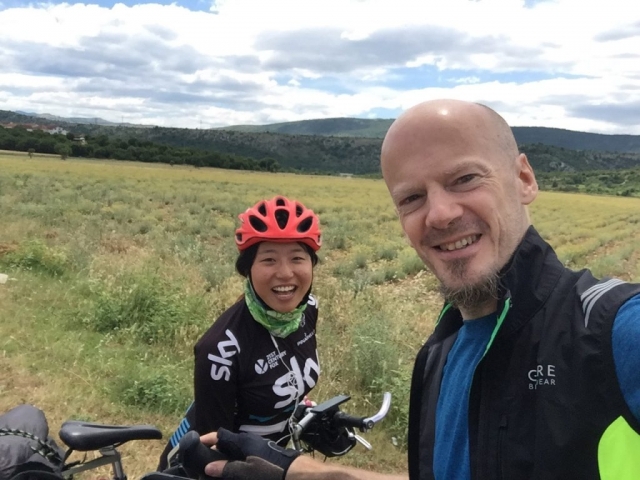 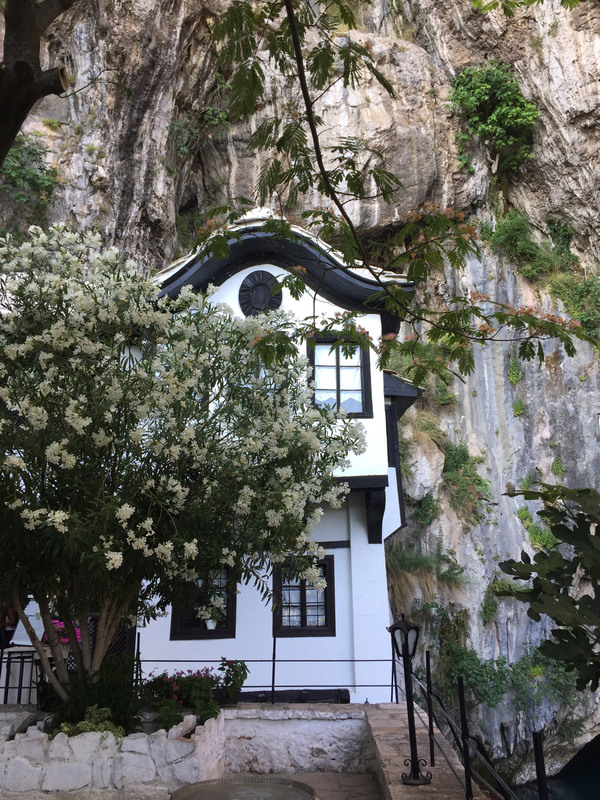 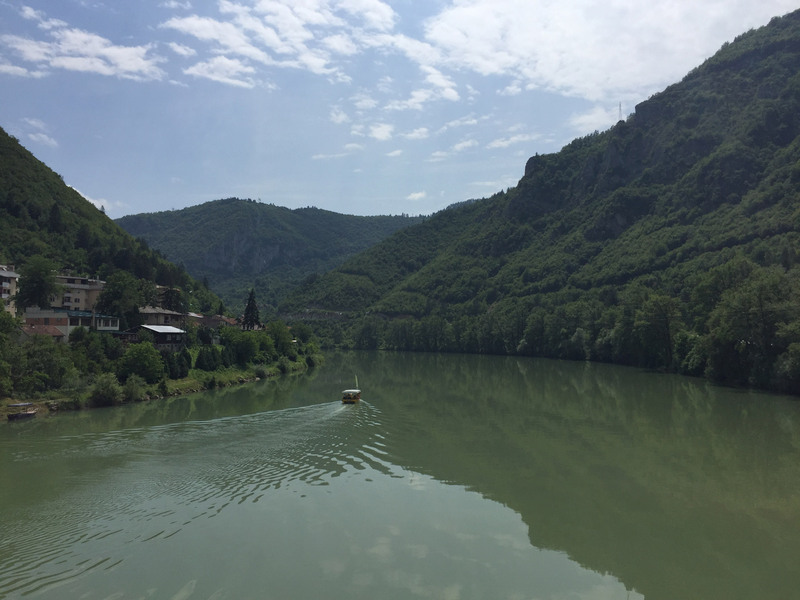 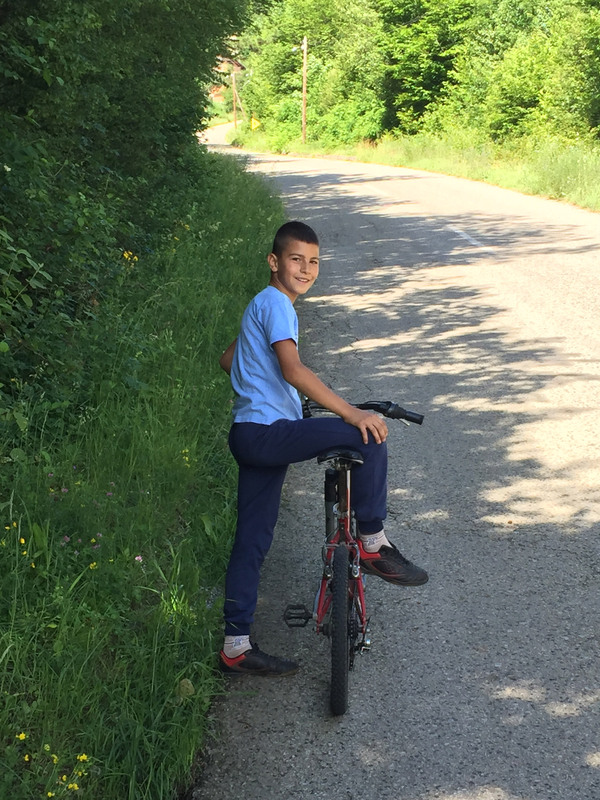 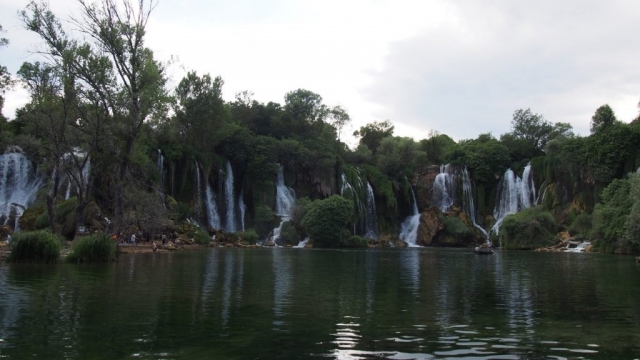 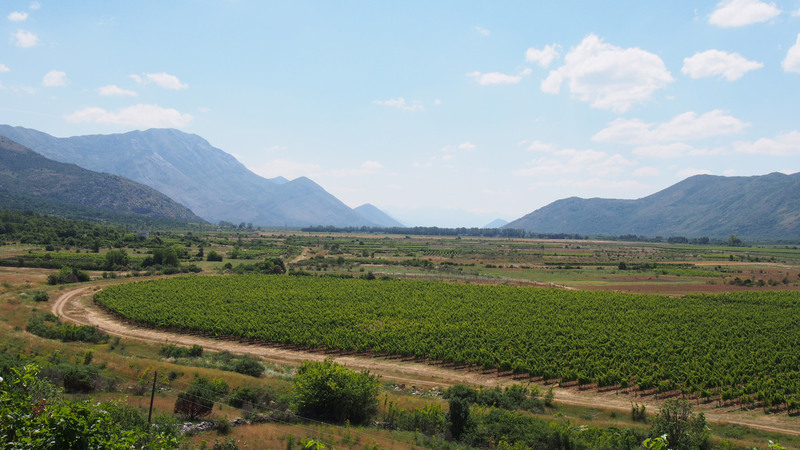 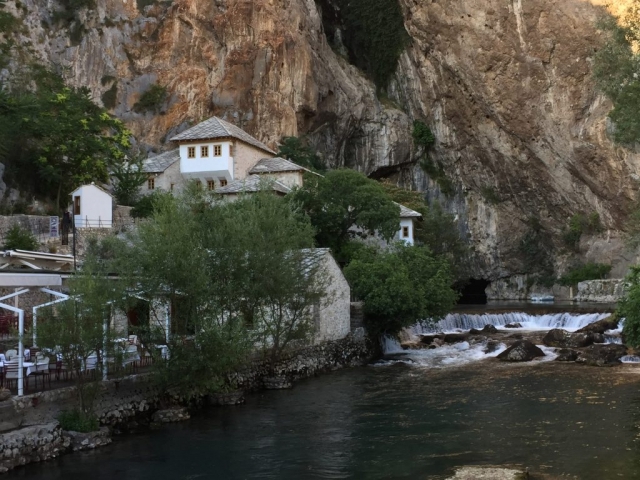 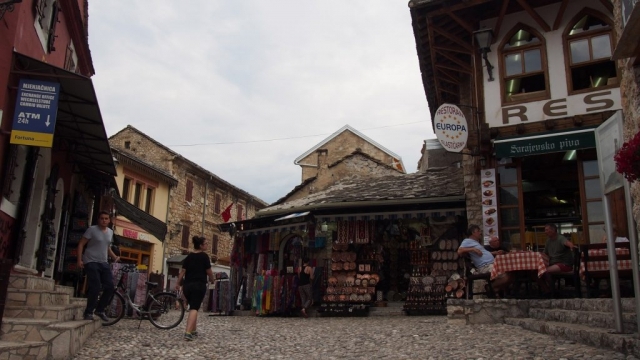 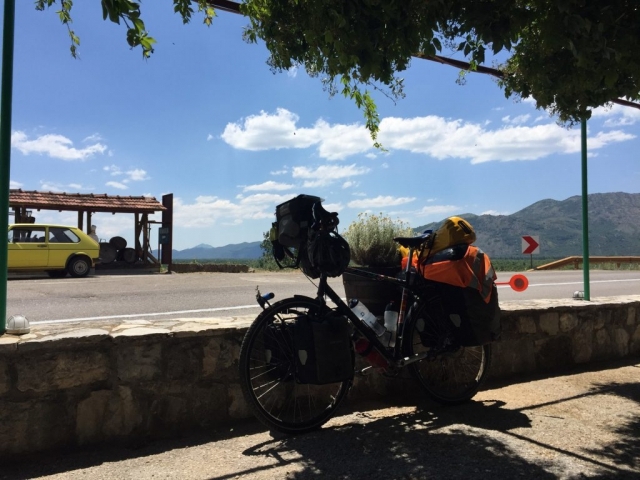 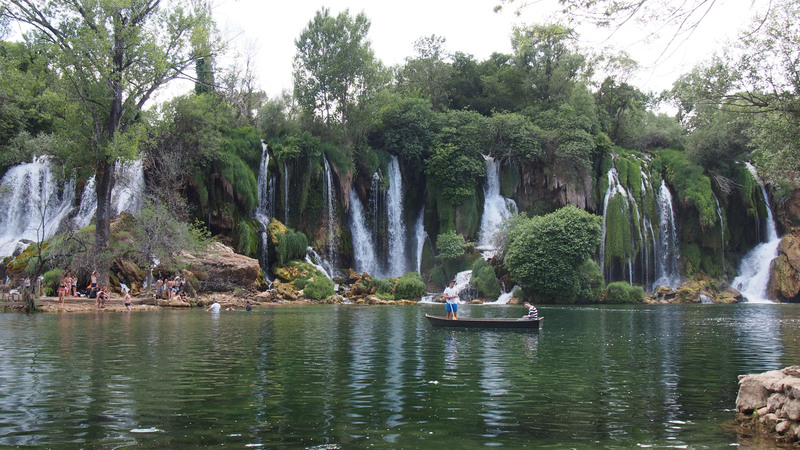 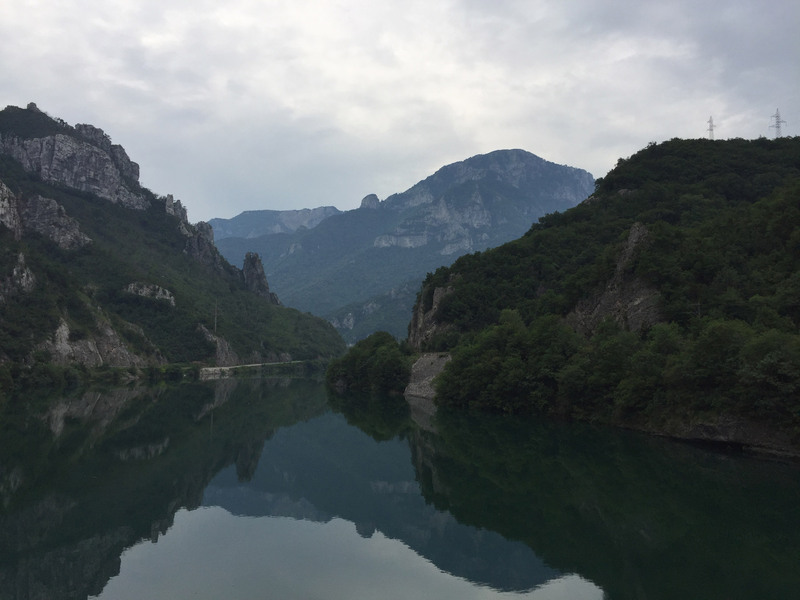 After Mostar I continued towards Herceg Novi, Montenegro, making two stops at Ljubinje and Trebinje. 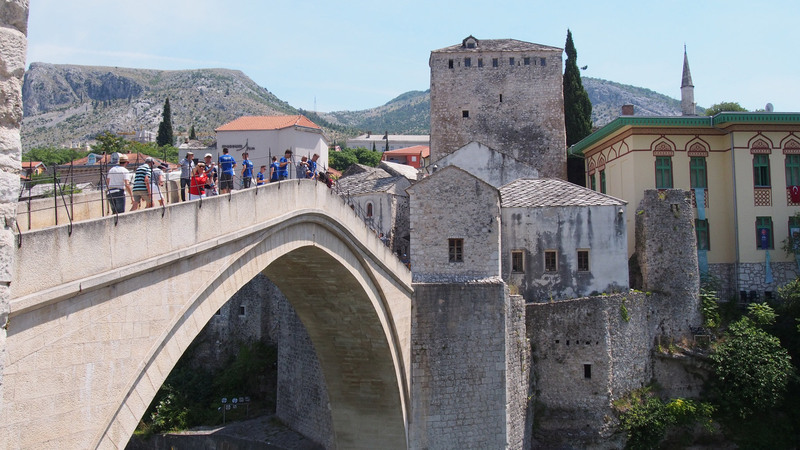 This last one is more touristic, with a nice old town and yes, a bridge. 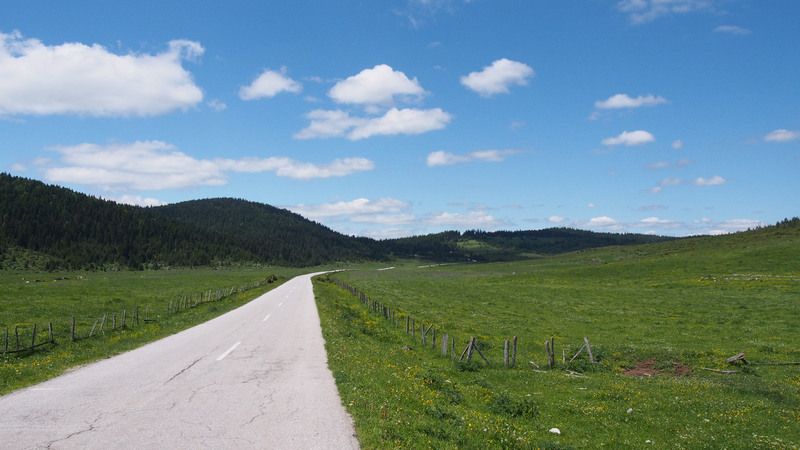 After Trebinje I had the last climb, to reach the border on the top of the hill, as usual.